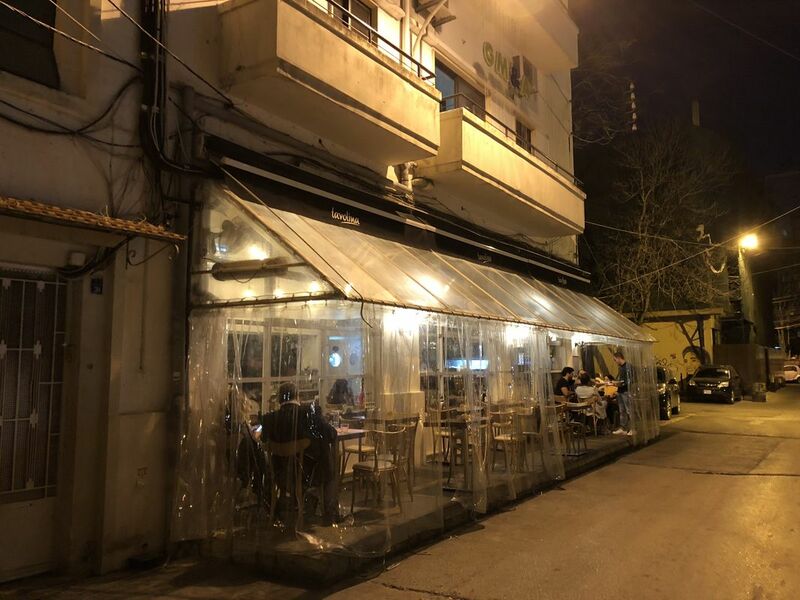 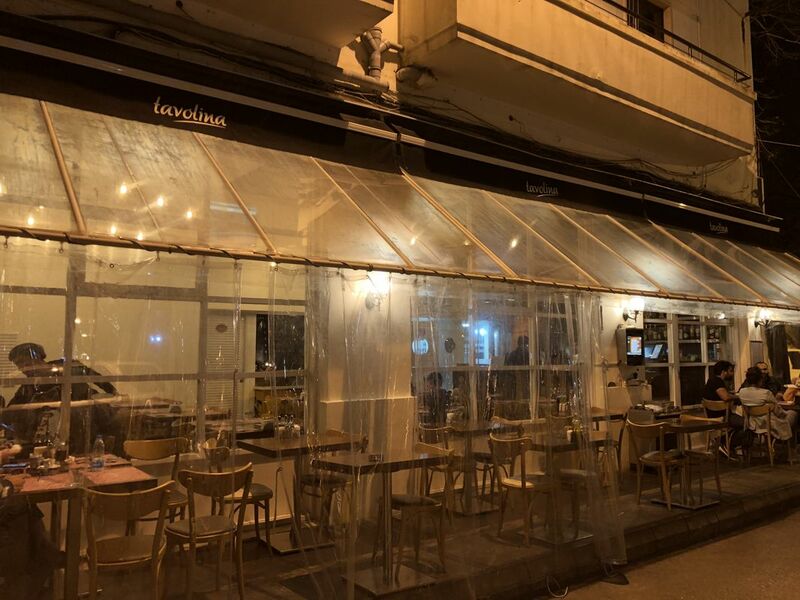 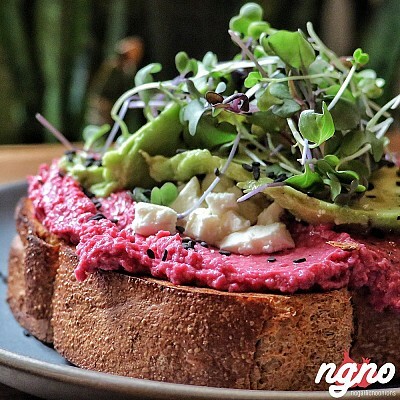 One of Beirut’s best Italian restaurants is located in Mar Mikhael next to Prune and Das-Kutche. 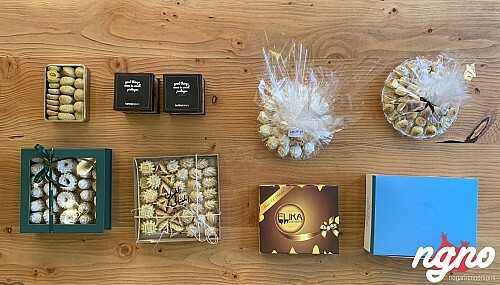 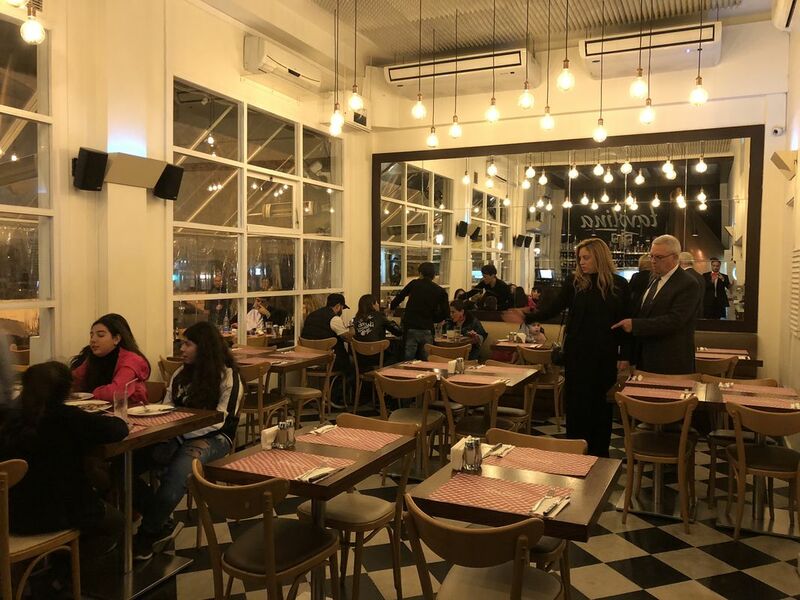 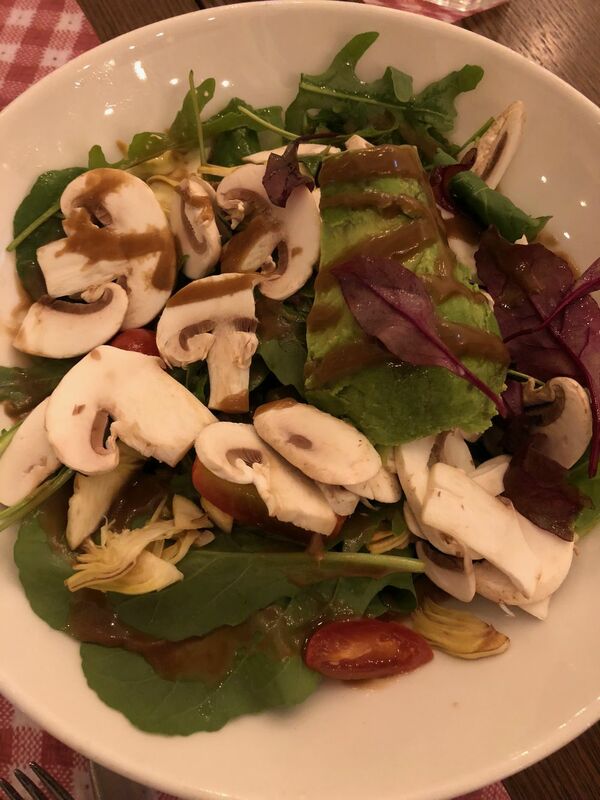 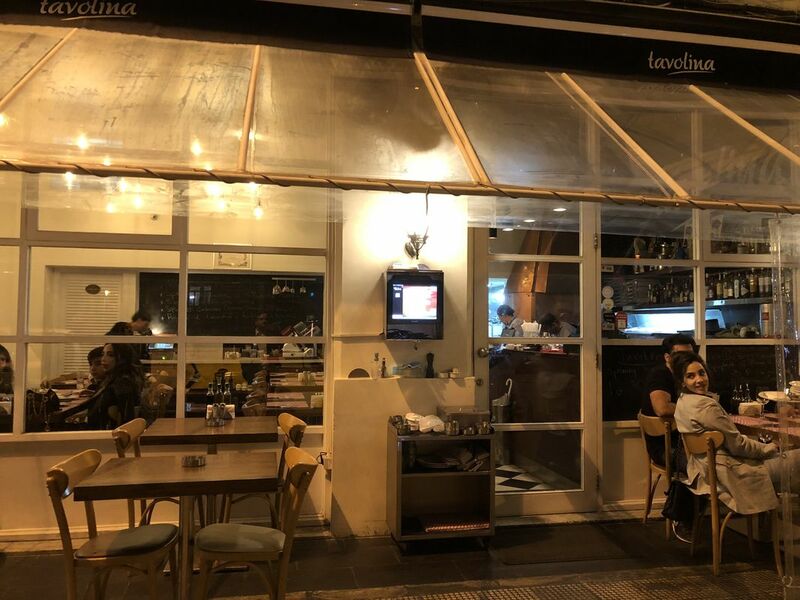 Open for more than five years already, Tavolina is the baby of chef Dany Khairallah and passionate entrepreneur Dany Aprat. 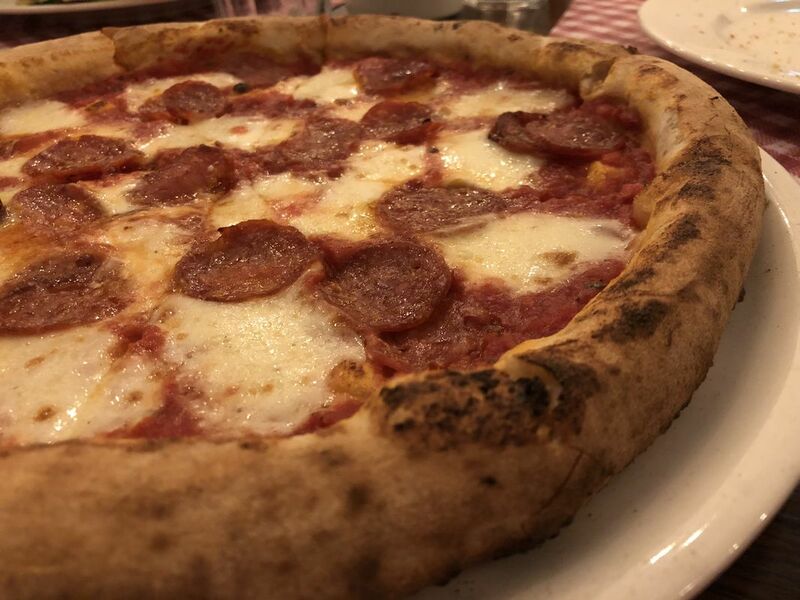 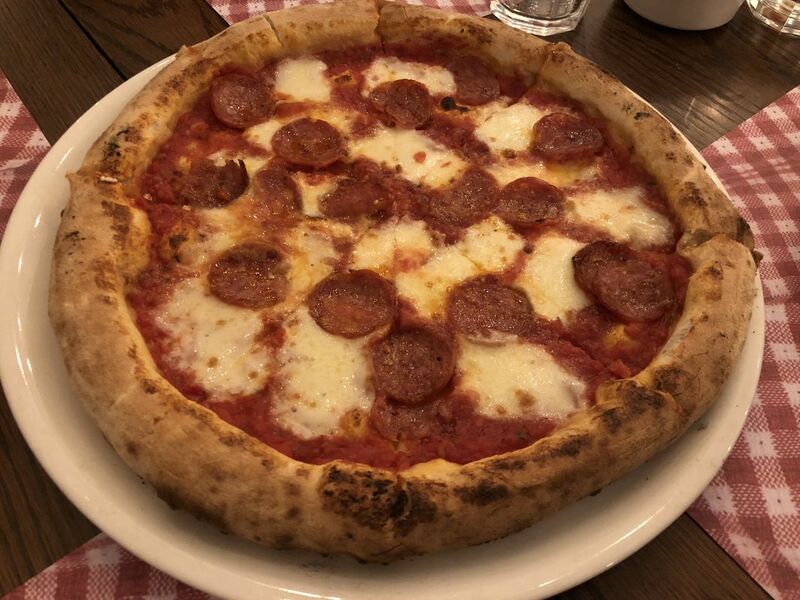 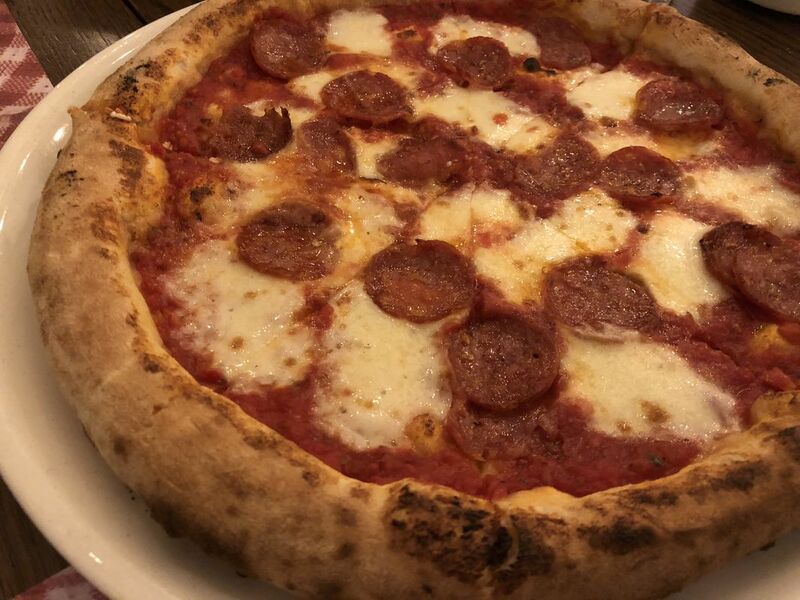 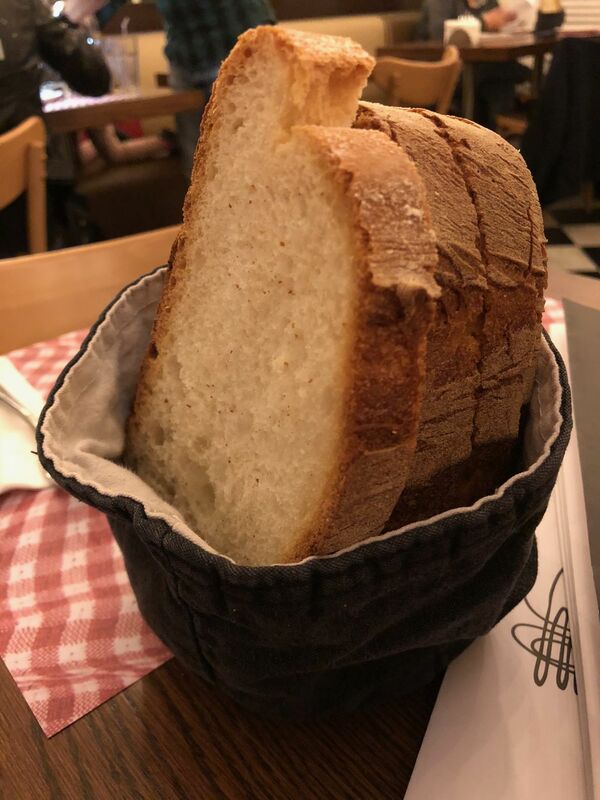 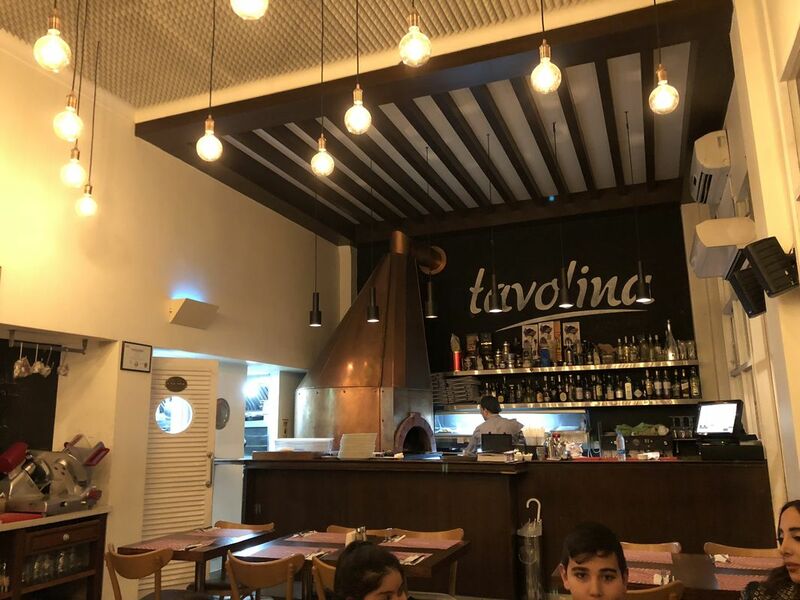 I’ve been here several times already, to enjoy their unique pizzas and outstanding kinds of pasta prepared the traditional Italian way. 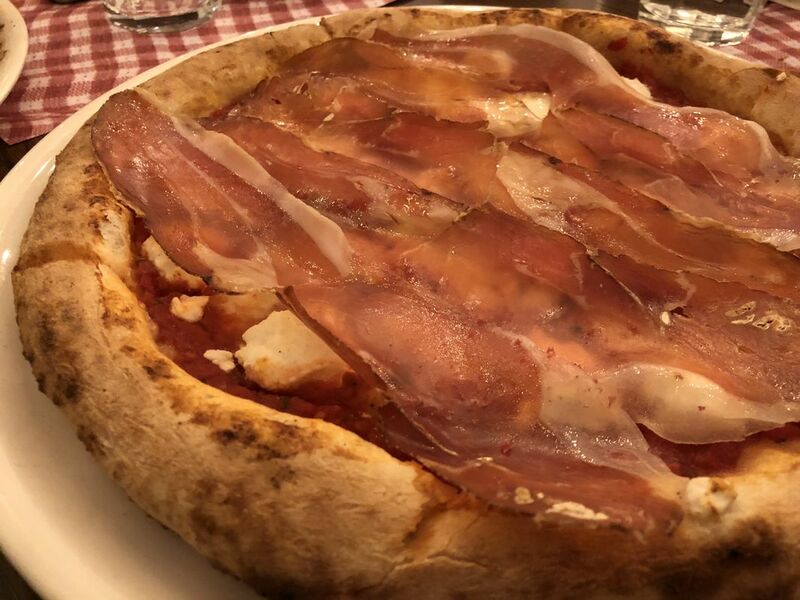 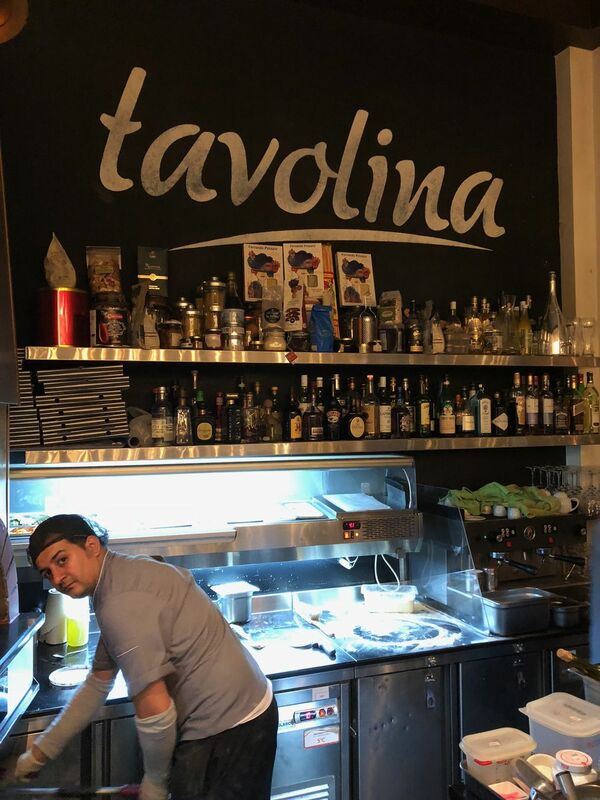 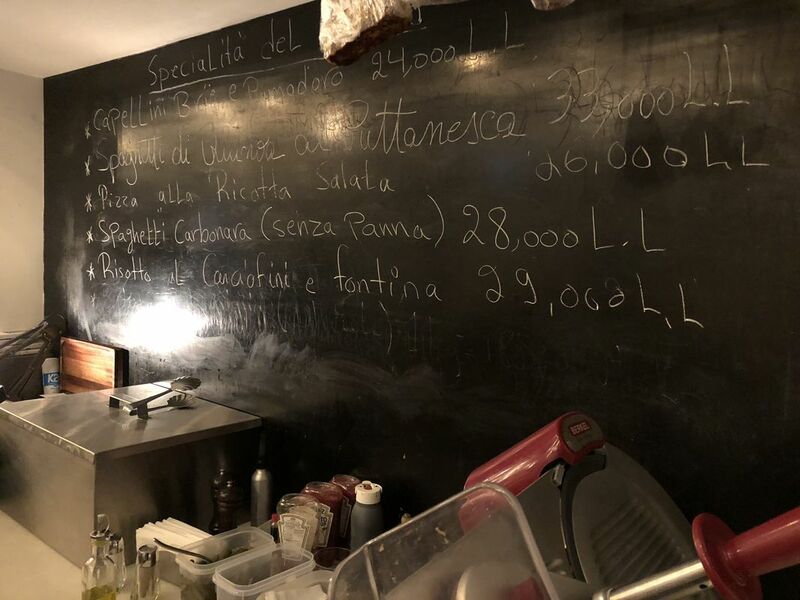 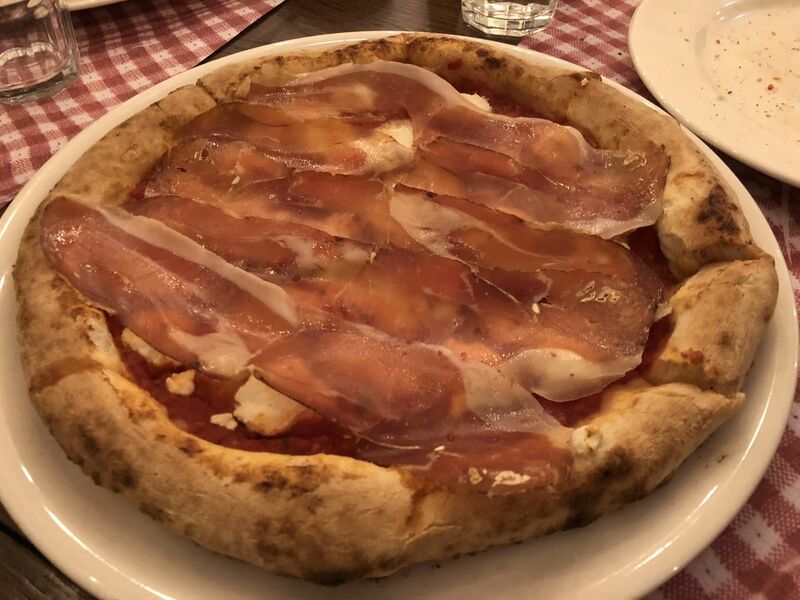 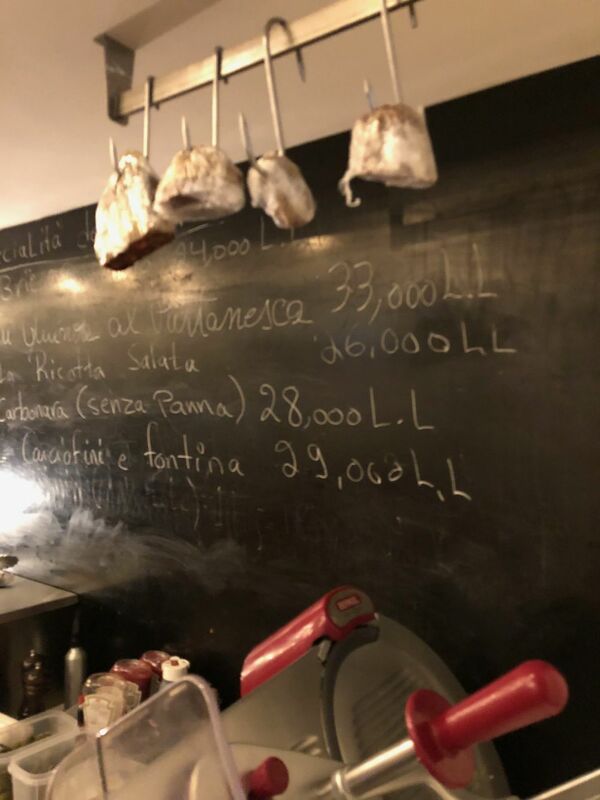 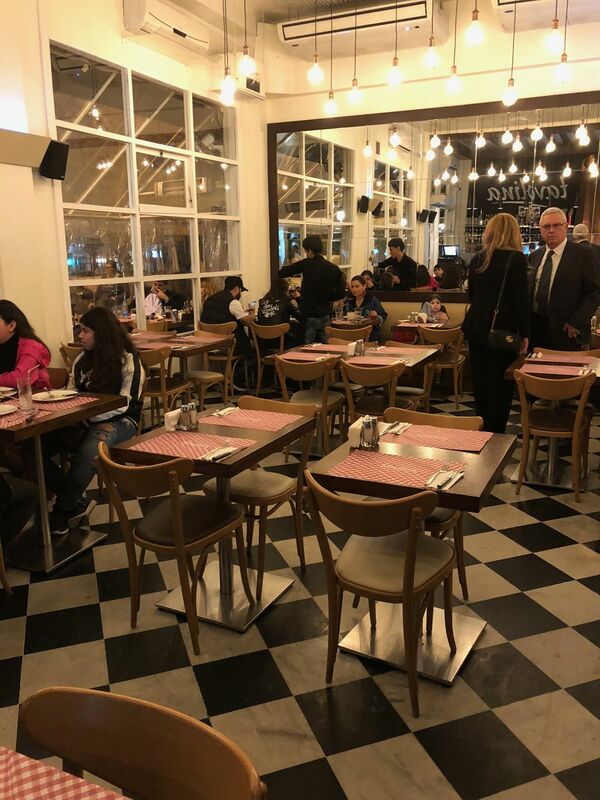 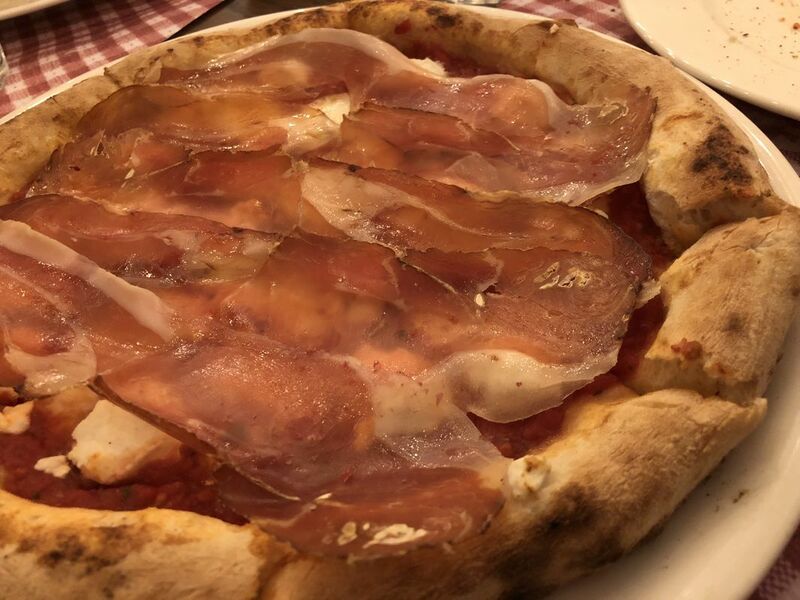 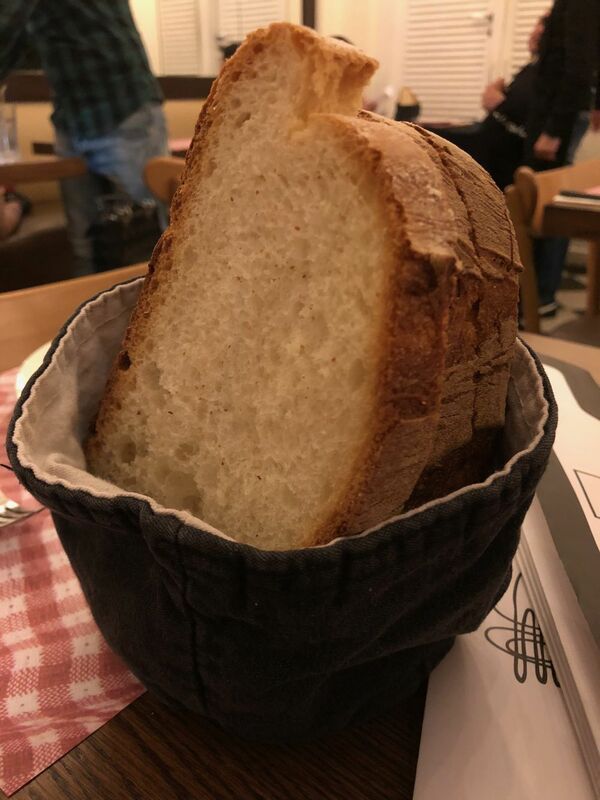 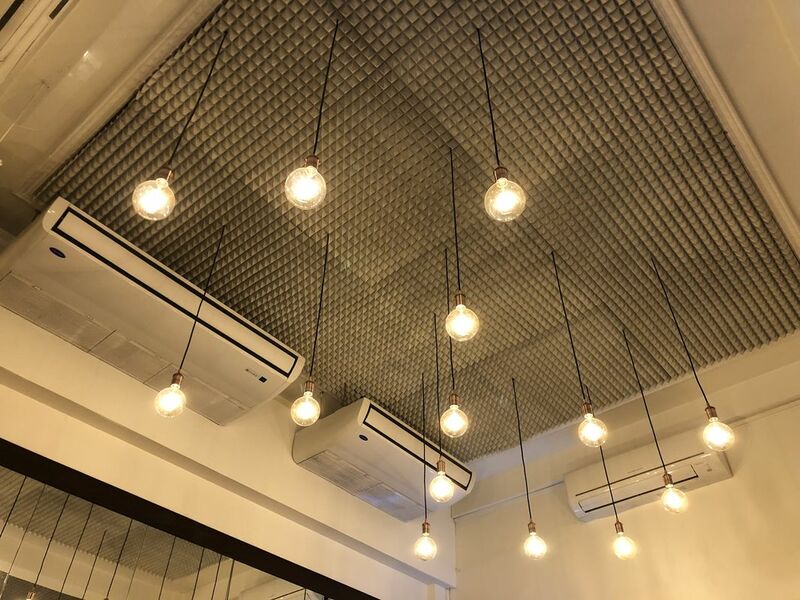 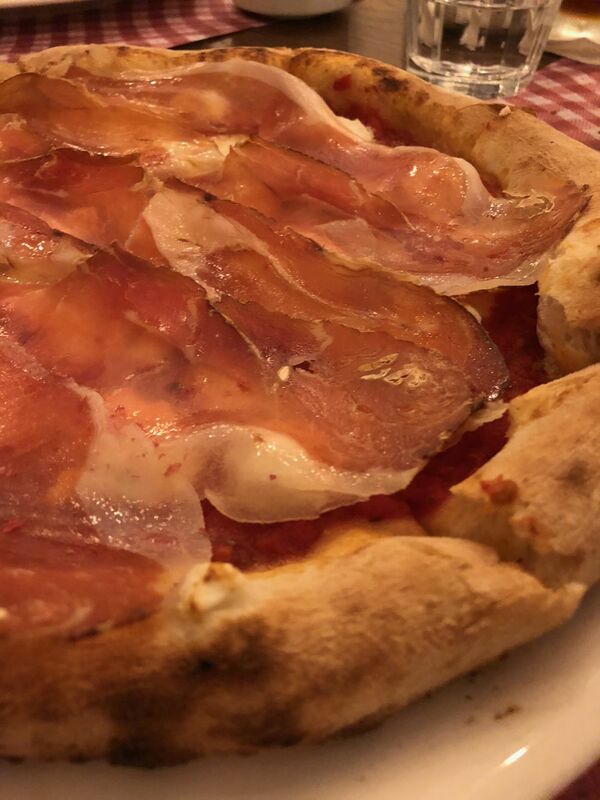 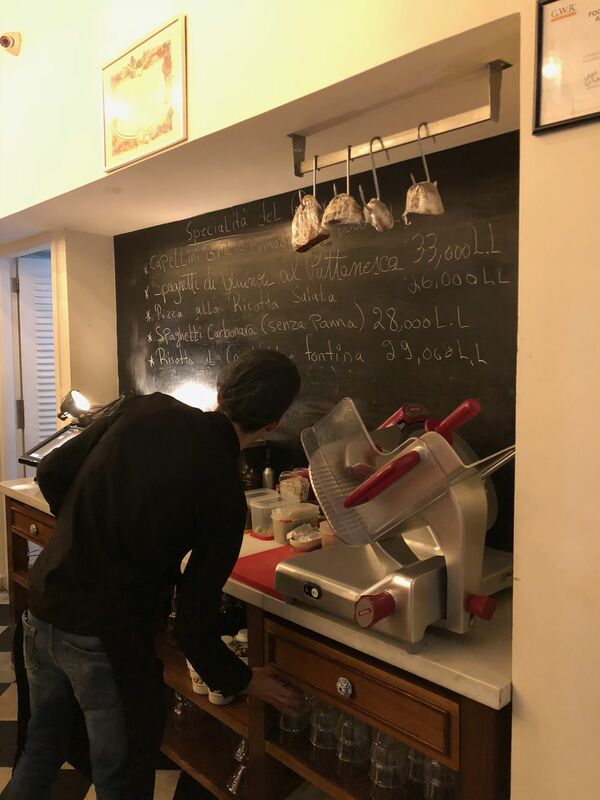 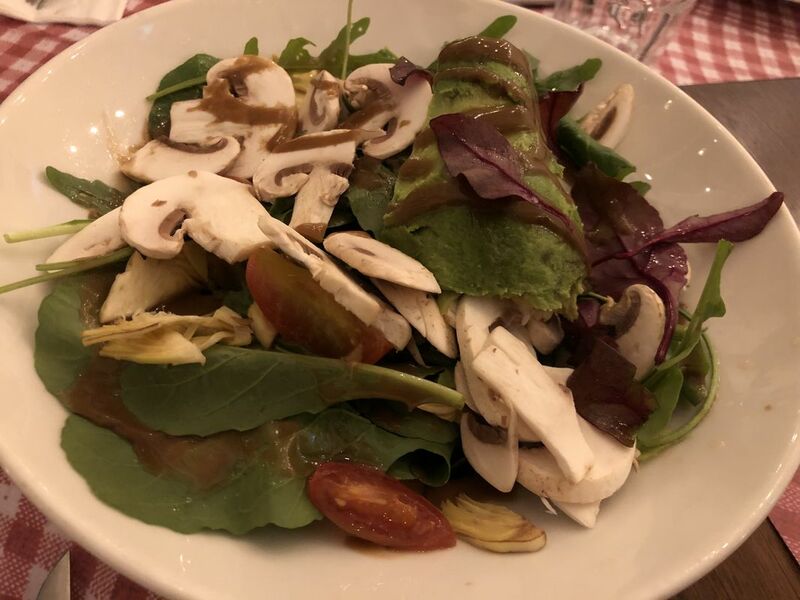 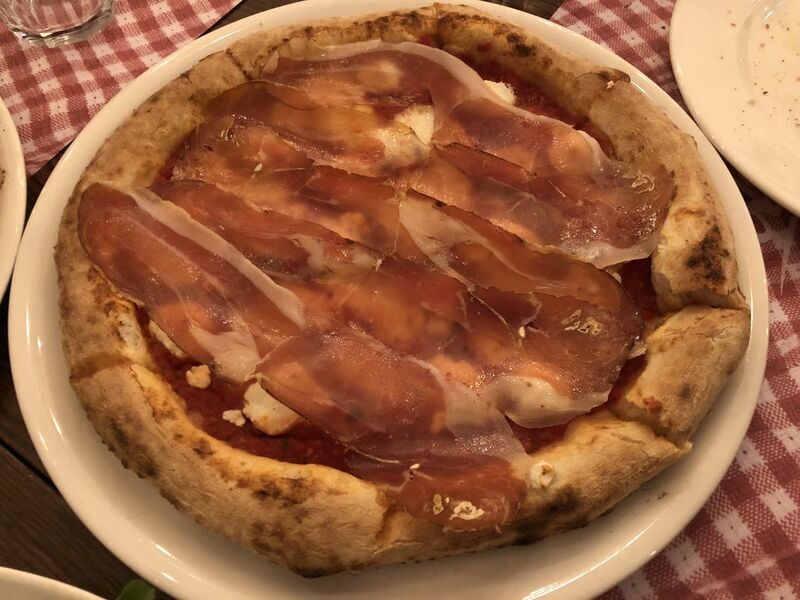 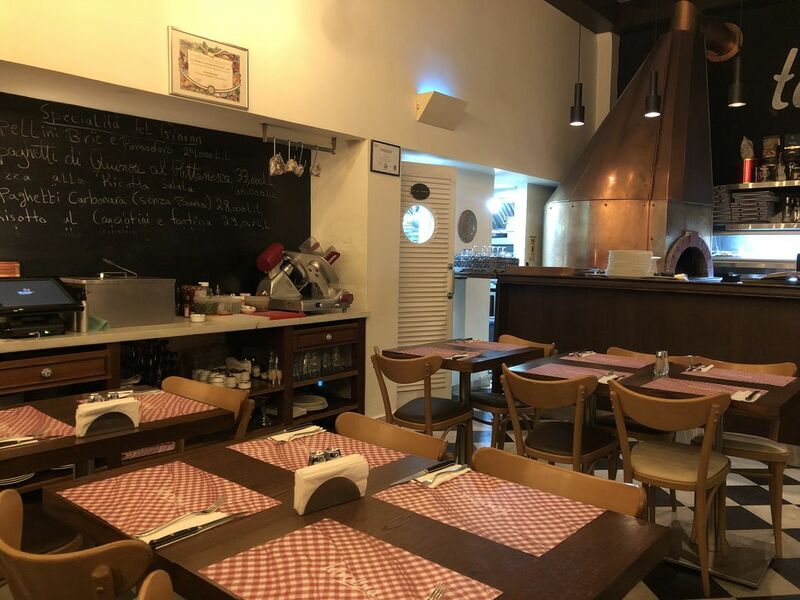 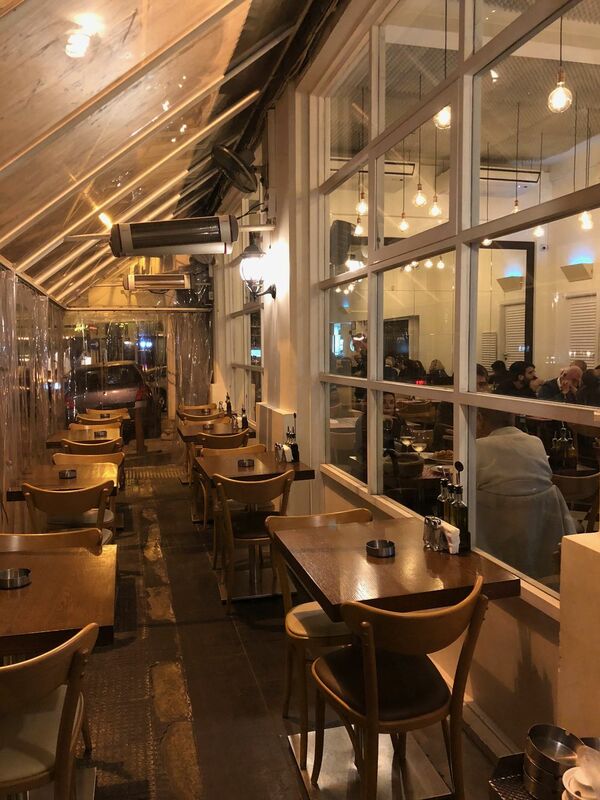 Dimmed yellow lights, background music, a bar with its Pizza oven; the table where cold cuts are prepared a la minute; Tavolina is an Italian trattoria. 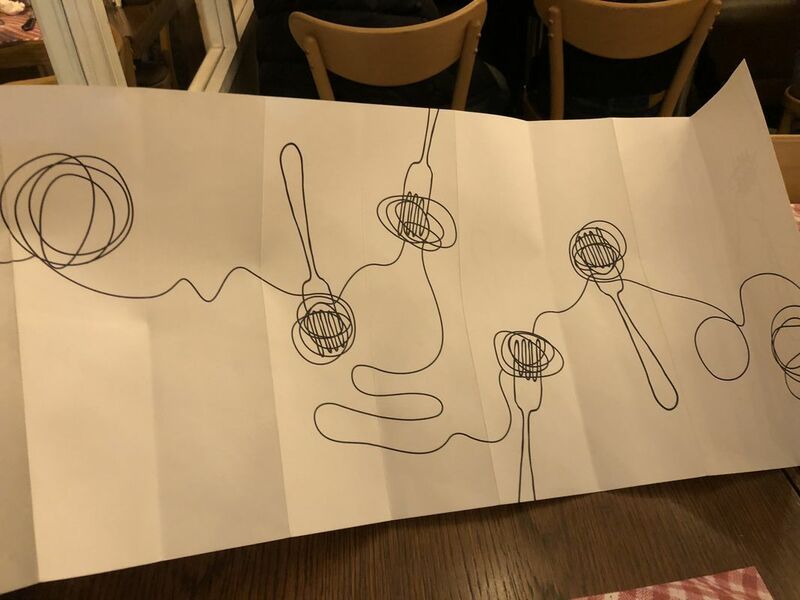 The first impression: -bizarrely-, I felt some heavy vibes spread around. 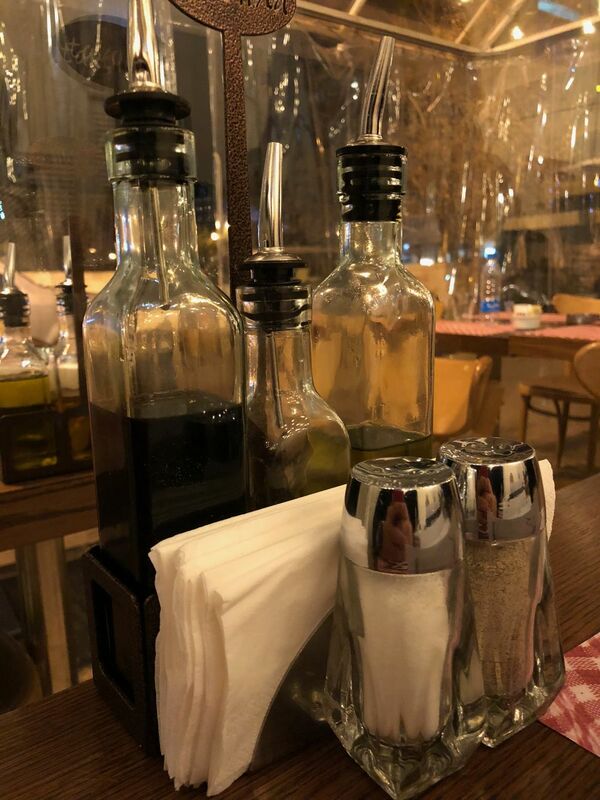 Waiters don’t smile, push you while walking, throw plates on the table and forget to welcome you the passionate Italian way. 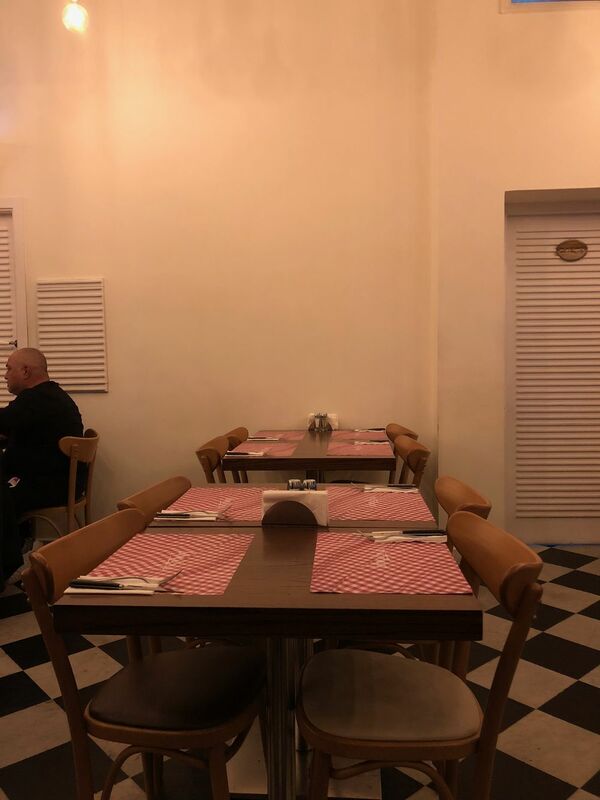 I prefer the restaurant during the day, too noisy and too dark! 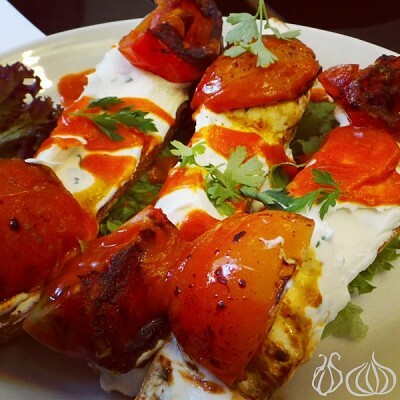 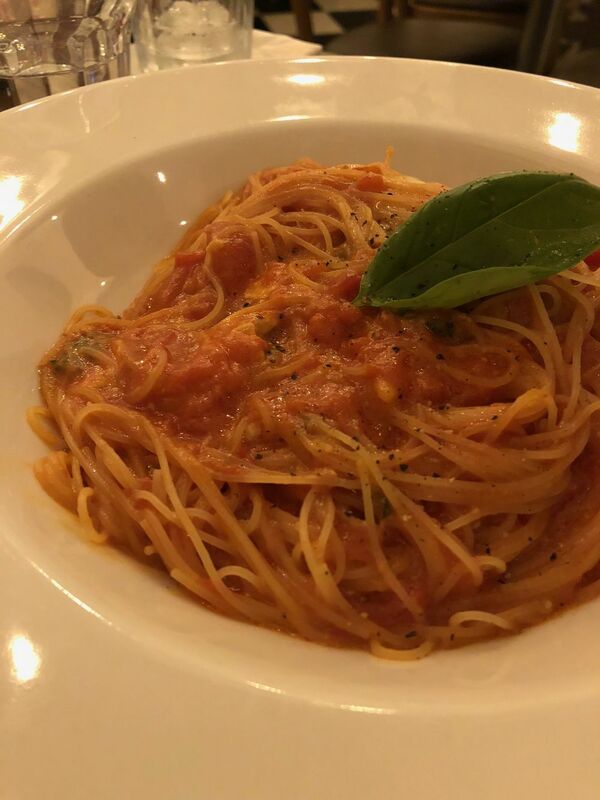 You have to know: all the tomato sauces contain garlic. 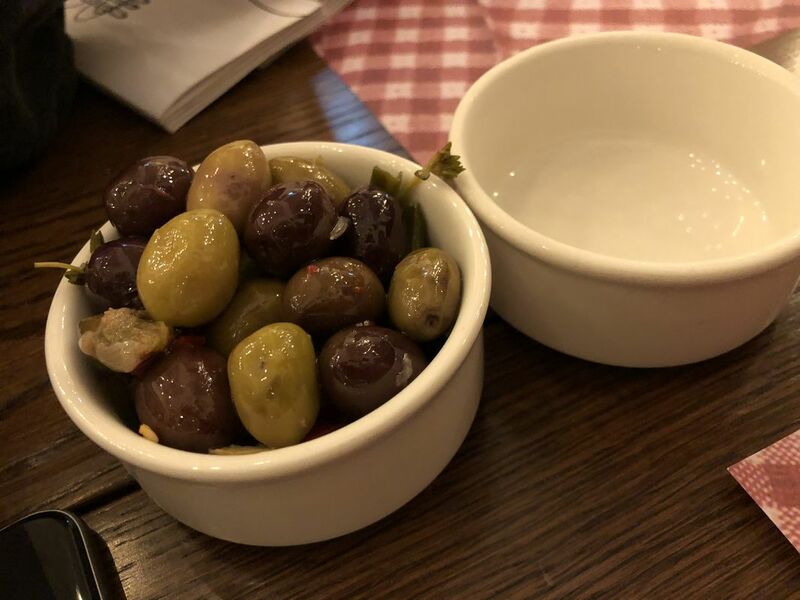 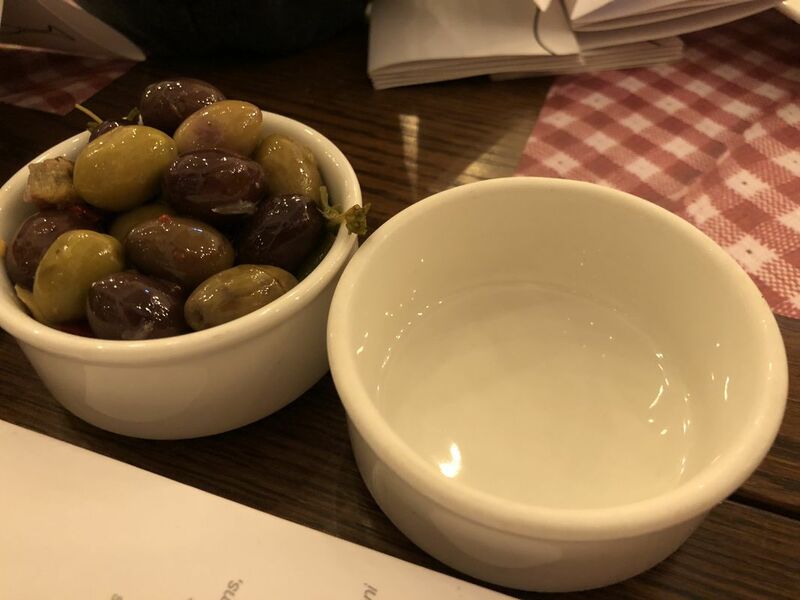 The green olives offered as an appetizer contain garlic. 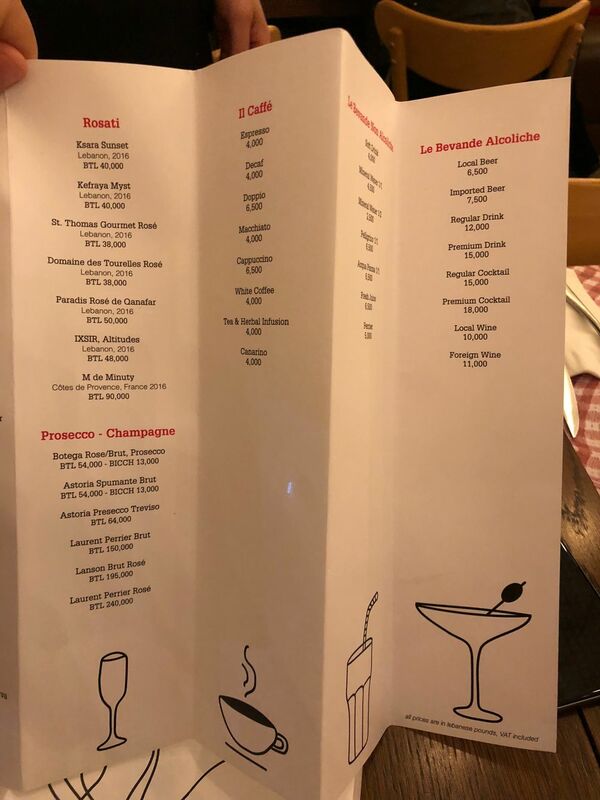 It’s closely the same menu for as long as I remember; Pasta, risotto, and pizzas, printed on a foldable paper. 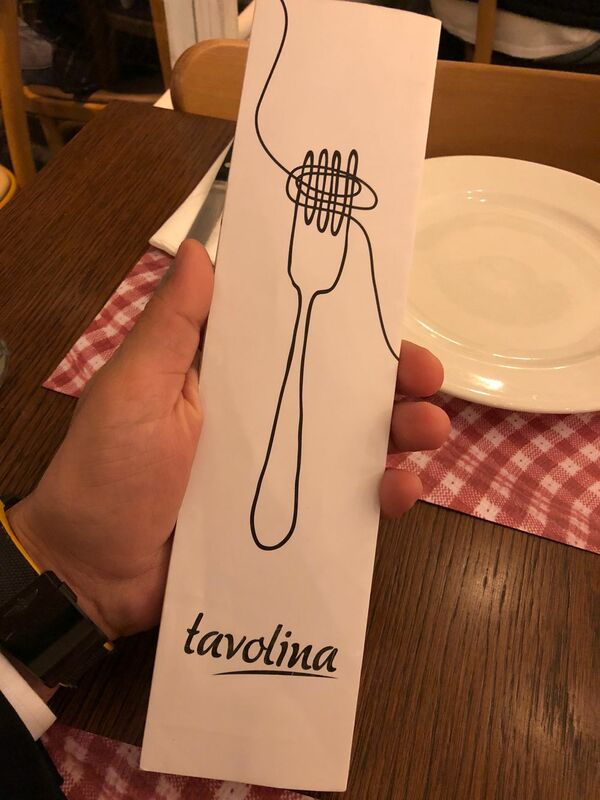 I was hungry and excited to try Tavolina’s food after several years. 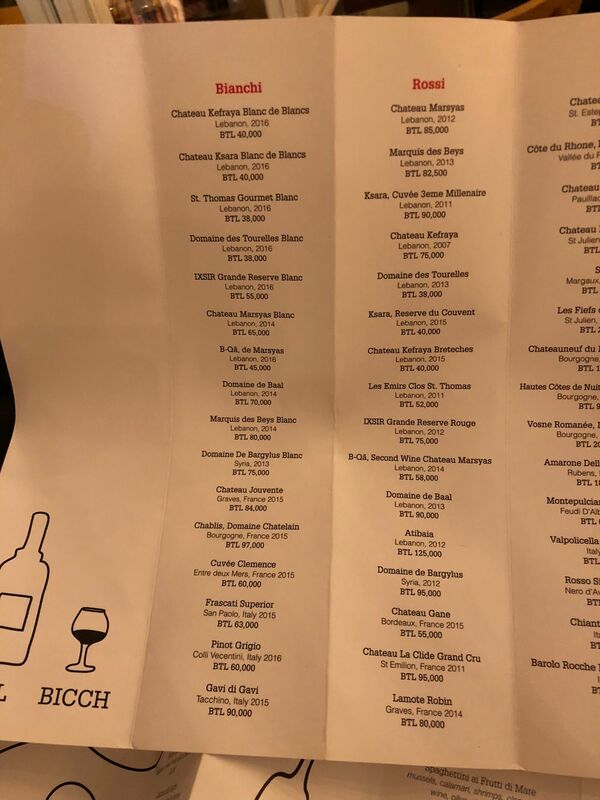 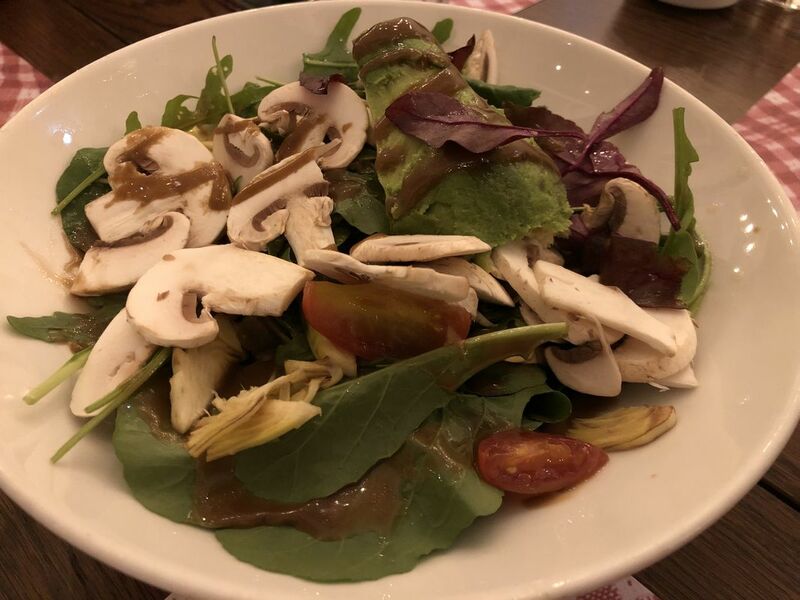 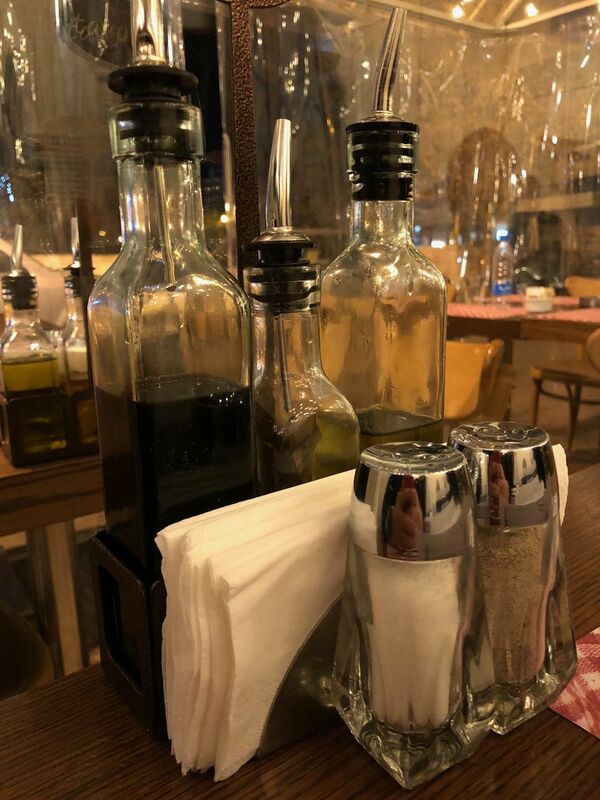 I say, enjoyed the Placemats printed in red and white, like kitchen towels, filled a bowl of olive oil and balsamic and awaited to be served. 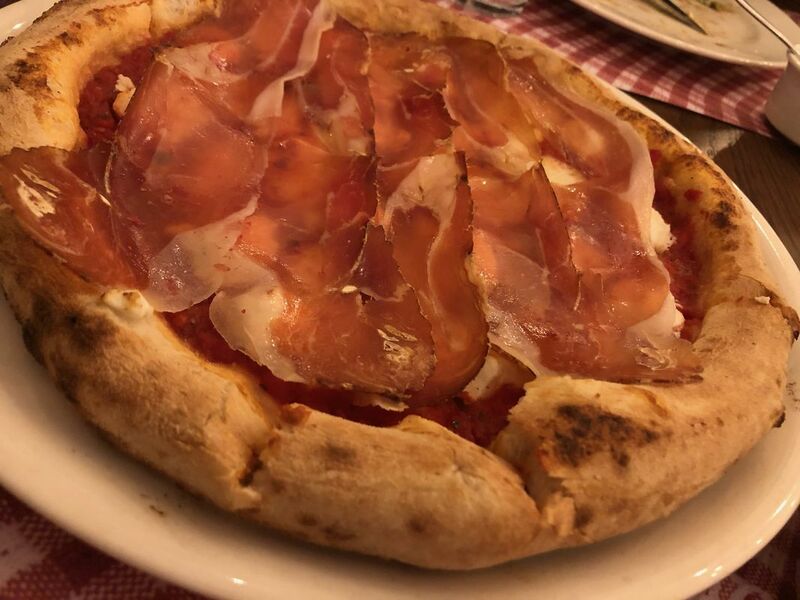 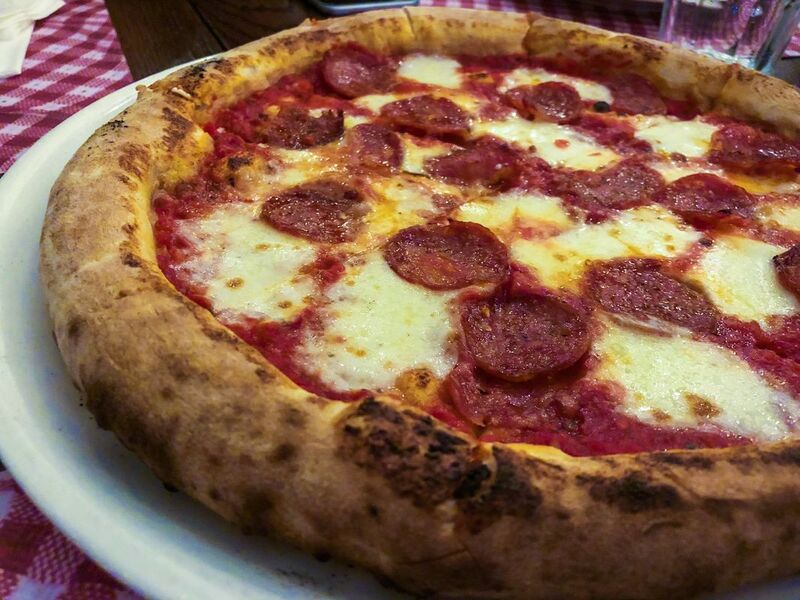 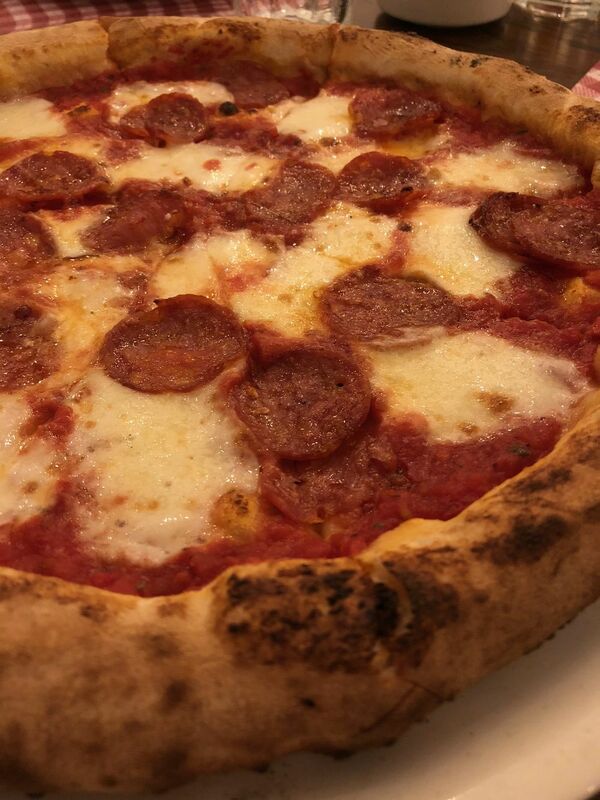 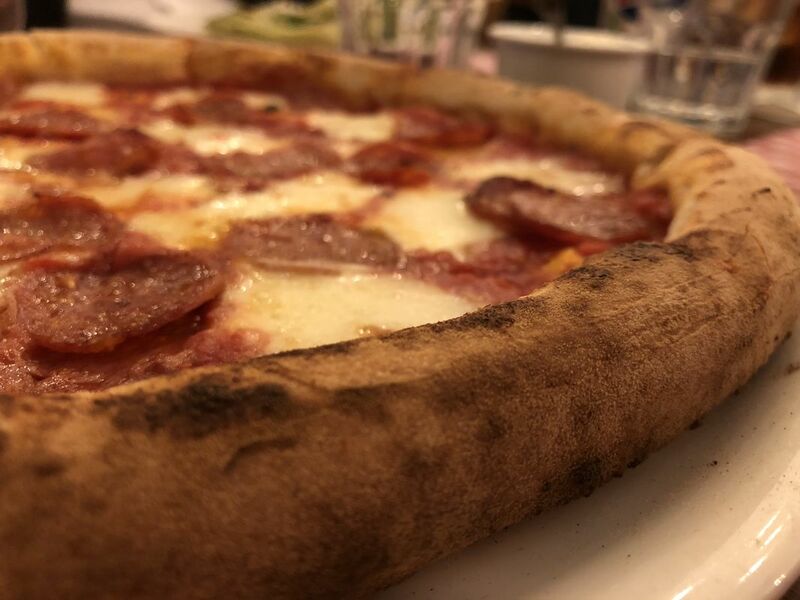 The pizza: a very think border with a spongy and airy heart. 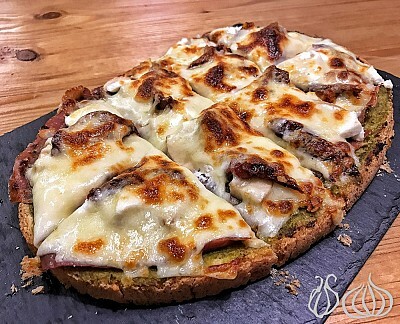 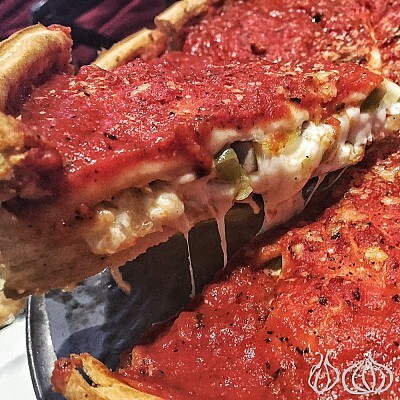 A loaded pizza on a thin and moist crust. 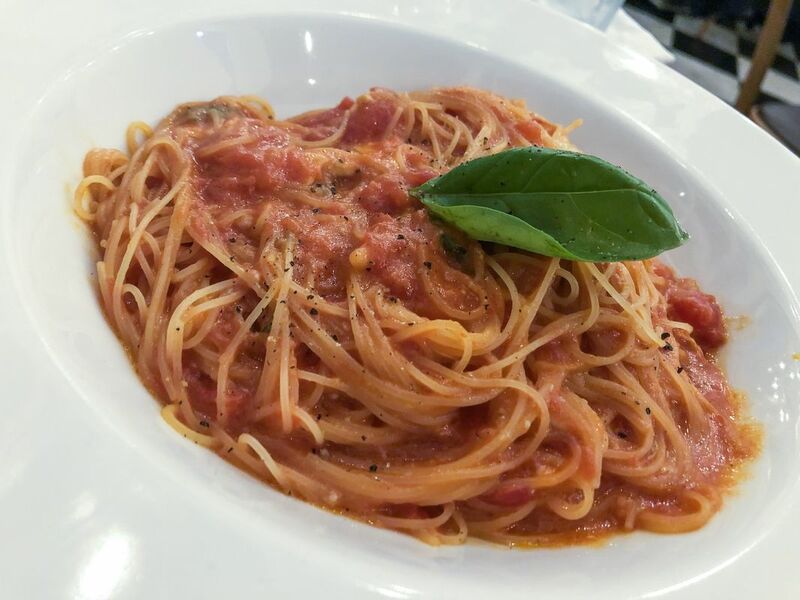 The acidity and intensity of the tomato sauce made of it a unique Italian creation few master in Lebanon. 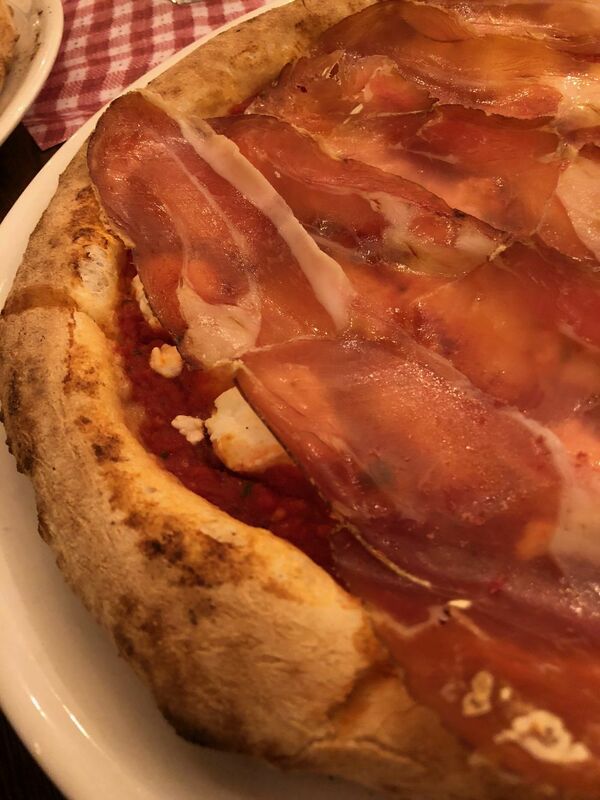 I had two kinds, the Diavola, and ricotta, both exceptional. 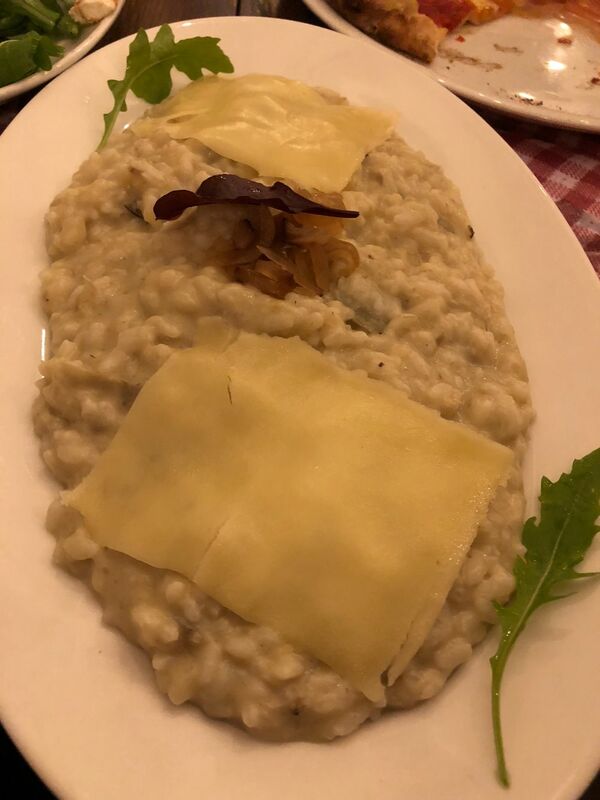 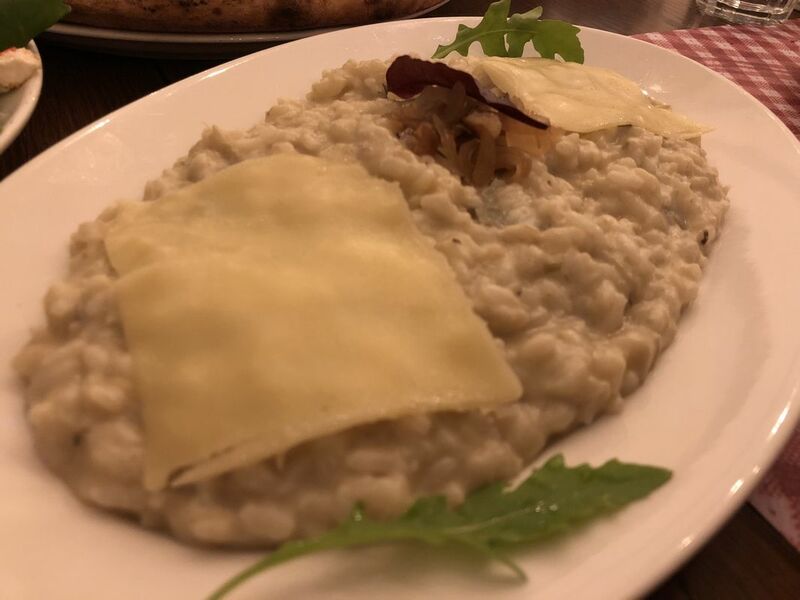 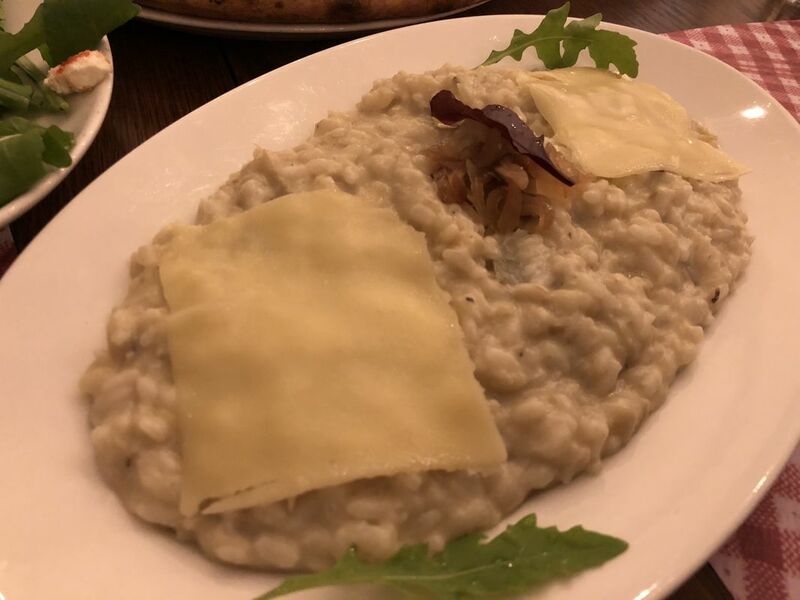 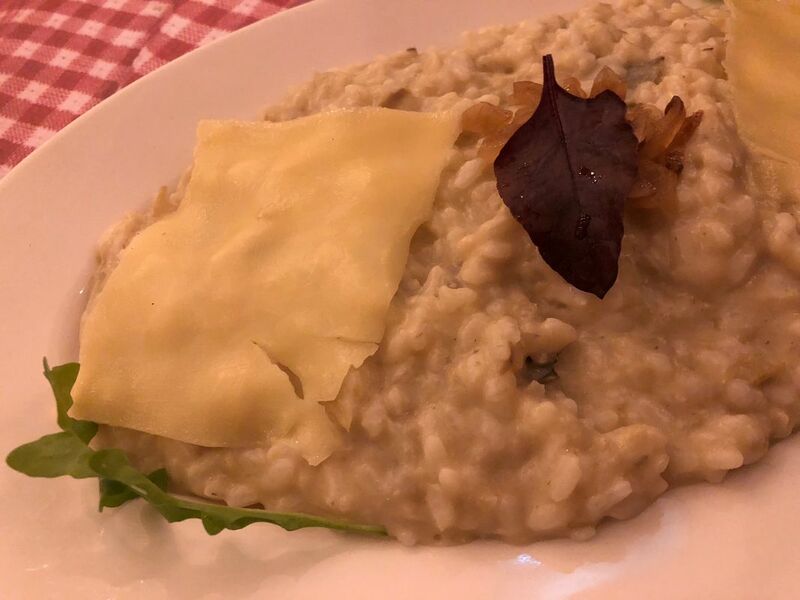 The special of the day, artichoke Risotto is a very big portion of risotto mixed with a creamy sauce and covered with two slices of cheese. 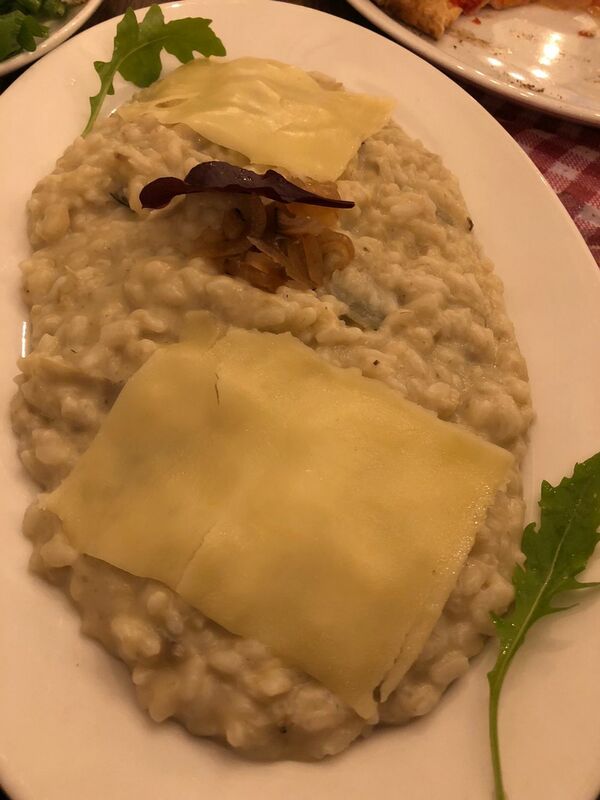 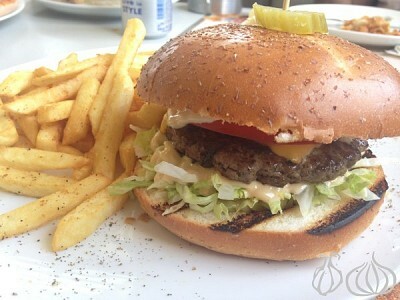 I loved the texture, cooking time and after taste, it leaves in the mouth. 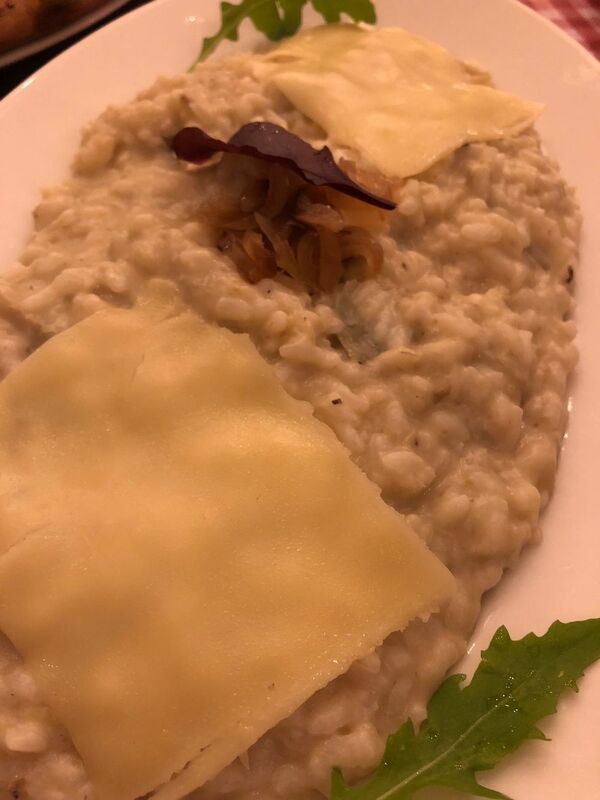 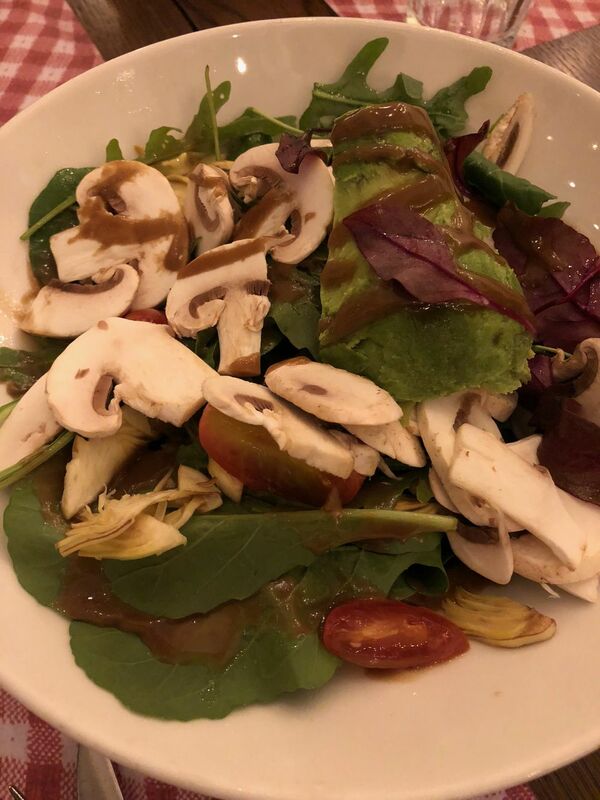 But why the garlic? 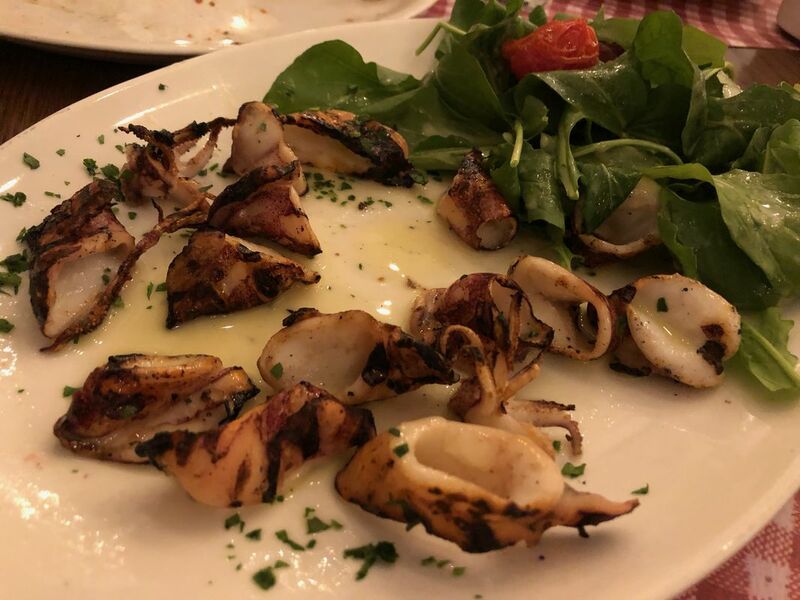 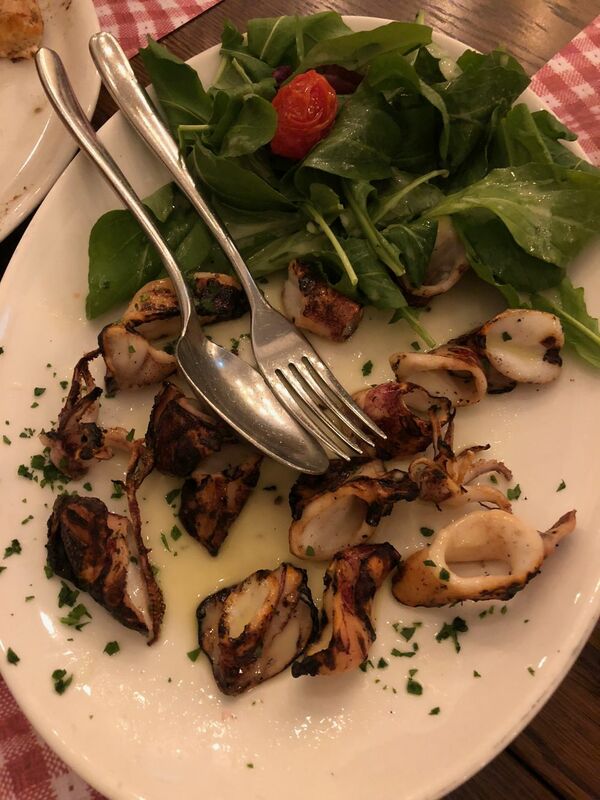 Even though heavily grilled and slightly chewy, the calamari has a strong grilling flavor I loved. 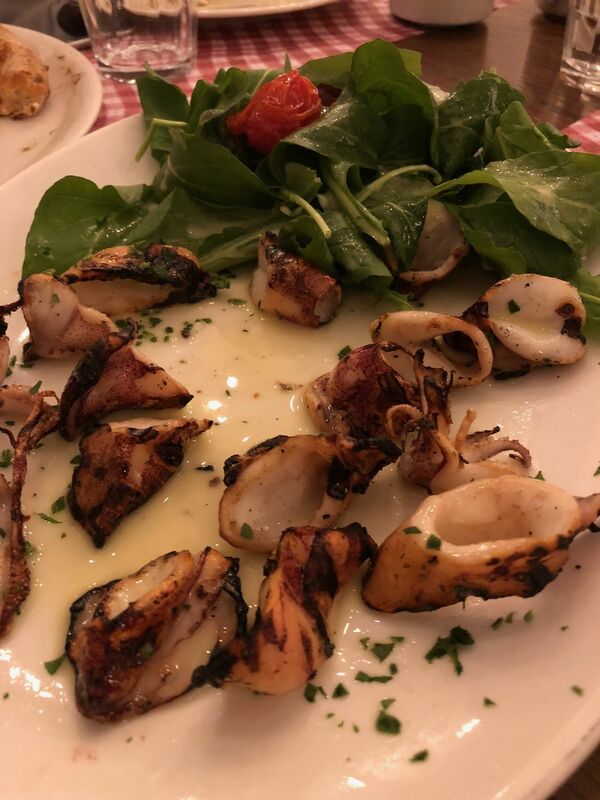 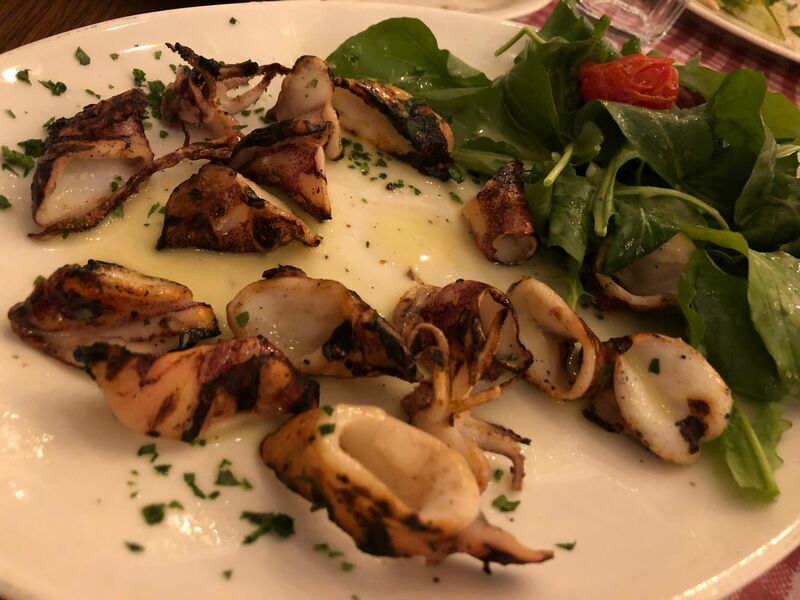 Served on a big plate with roquette leaves on the side, the calamari is soaked in lemon juice giving them the flavor they need. 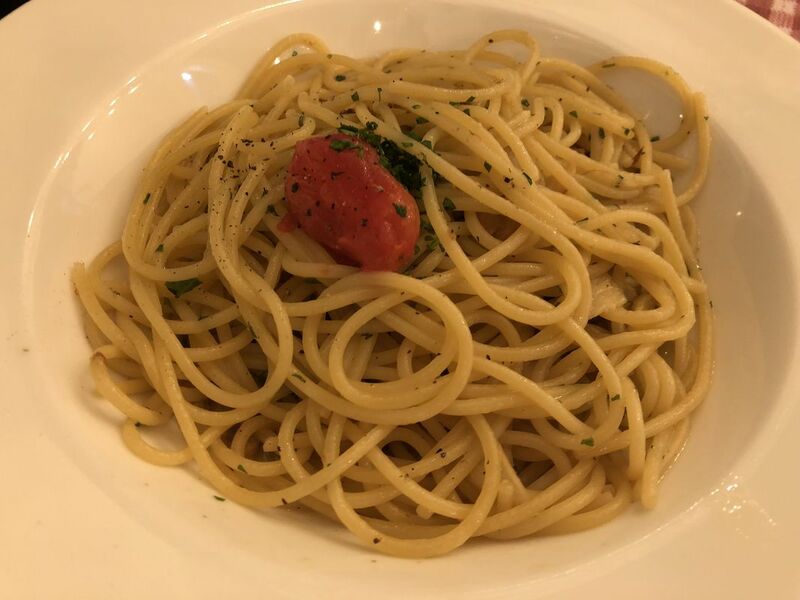 I finished the entire plate alone. 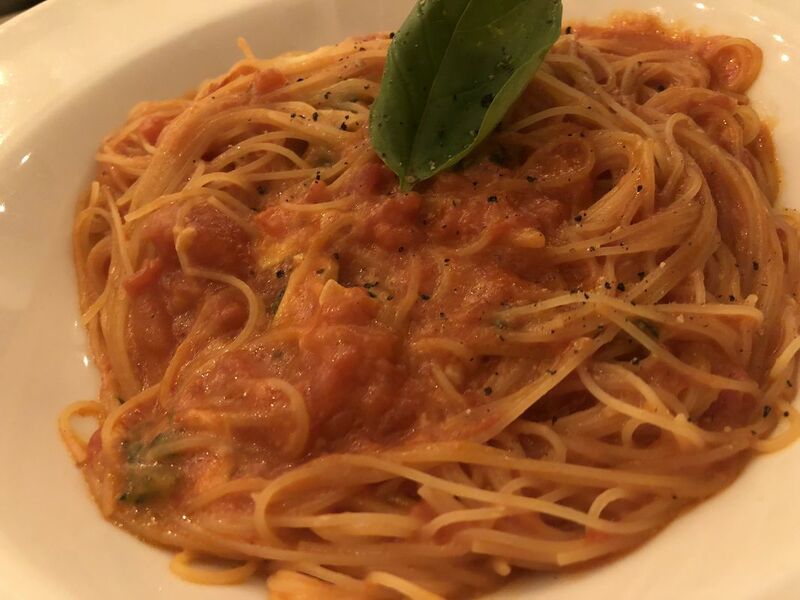 Pasta: probably the best cooking time of Pasta anyone managed to do in Lebanon. 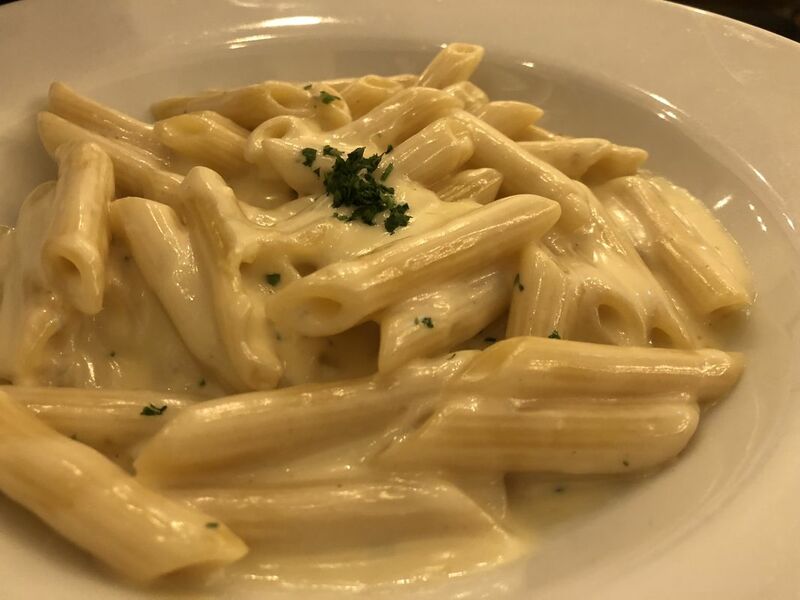 Enjoyably aldente without being hard textured or undercooked. 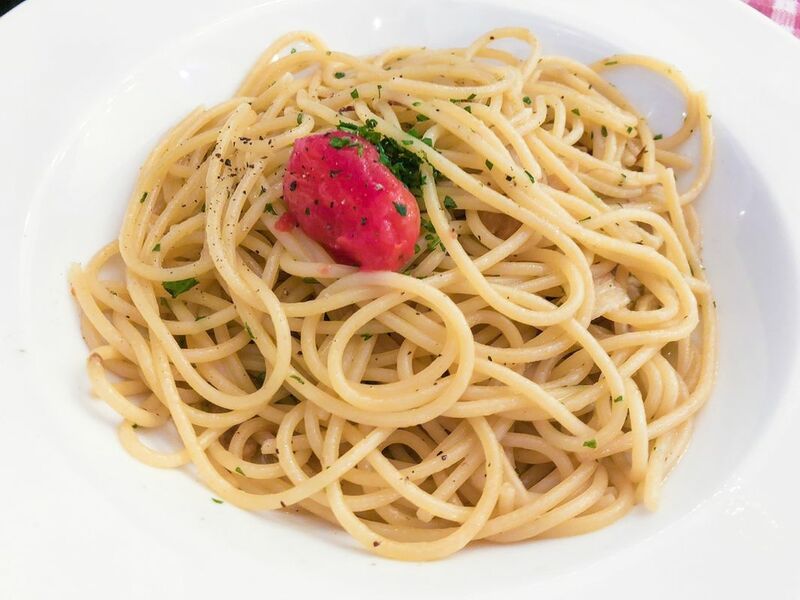 The right thickness of spaghetti cooked in the sauce loaded with flavors. 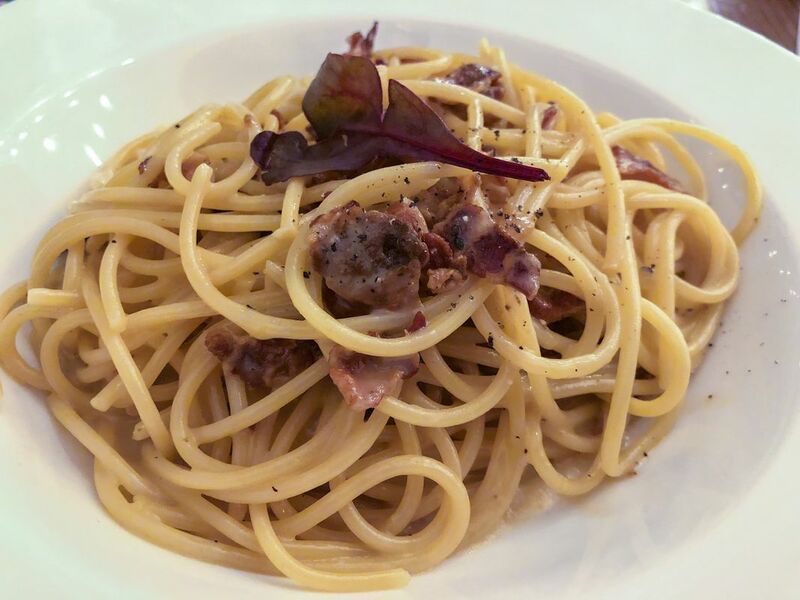 My carbonara is different, juicy, feels like creamy and kicks your palatal buds with its pepper; I enjoyed his plate. 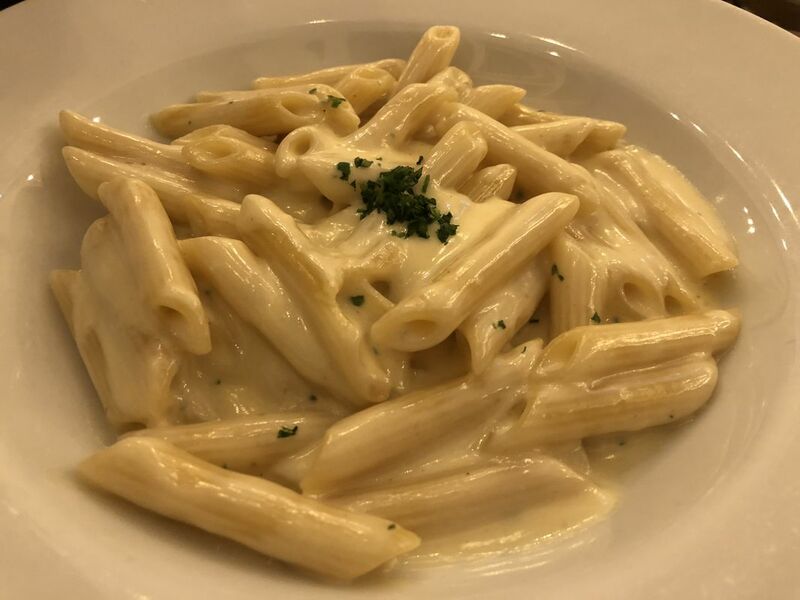 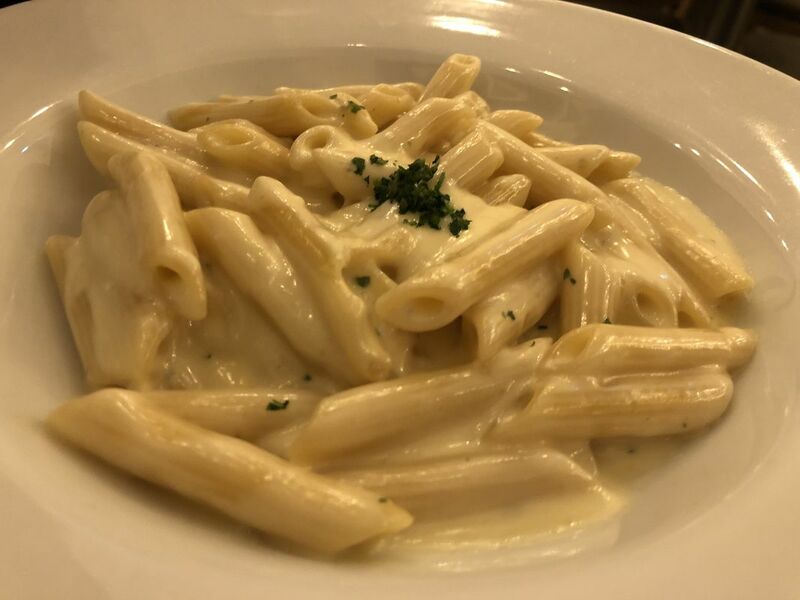 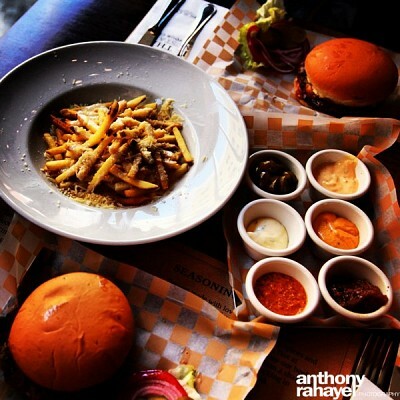 The four cheese penne is as good as the others, a full-bodied cheese with an aldente penne. 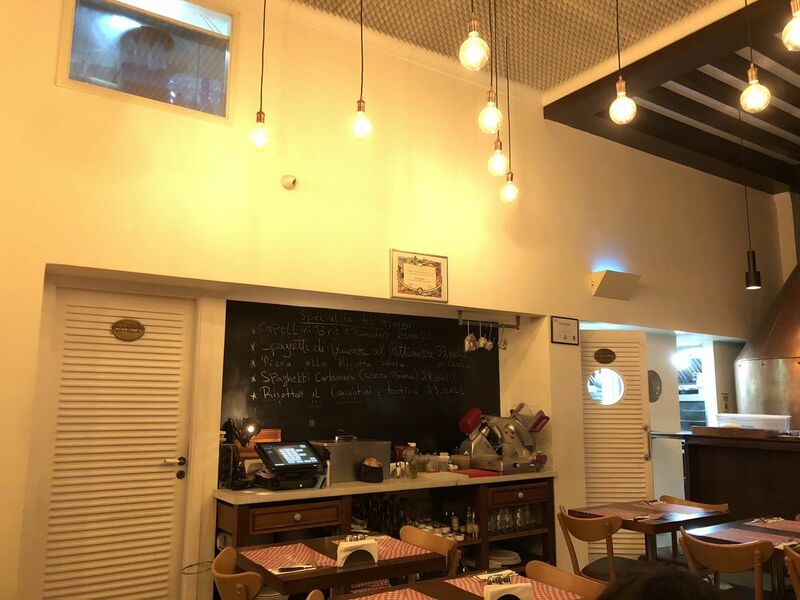 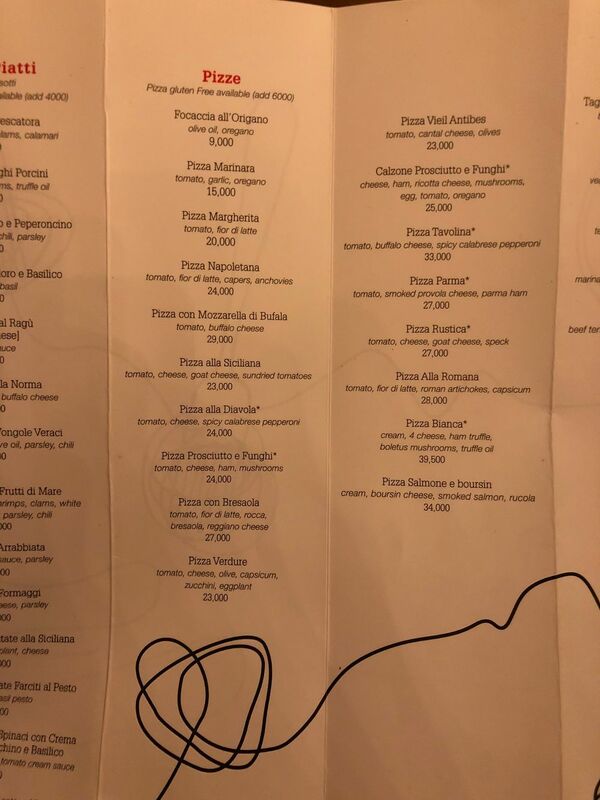 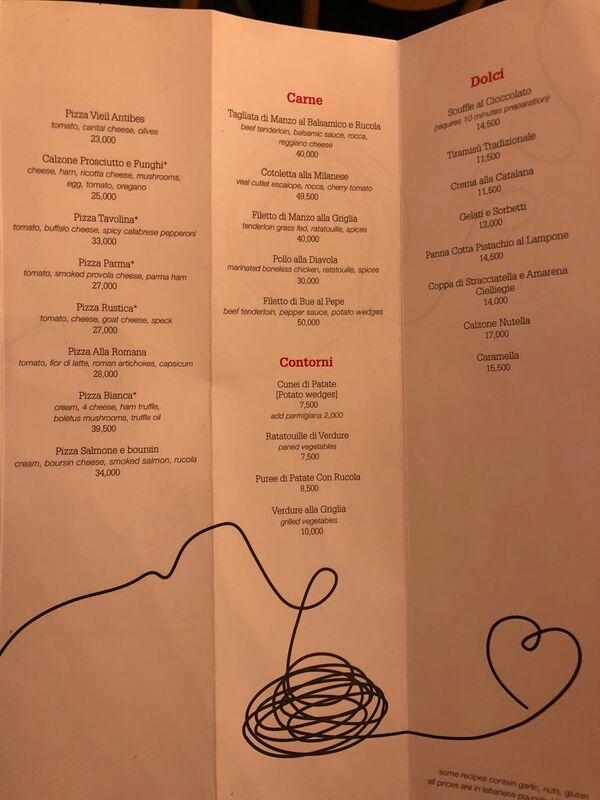 The pluses: I loved the food, loaded with passion and clear Italian know-how. 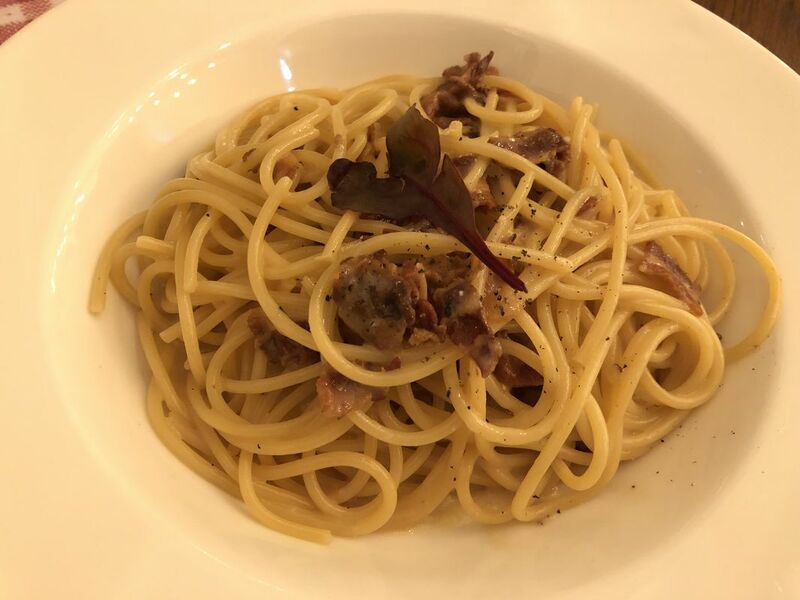 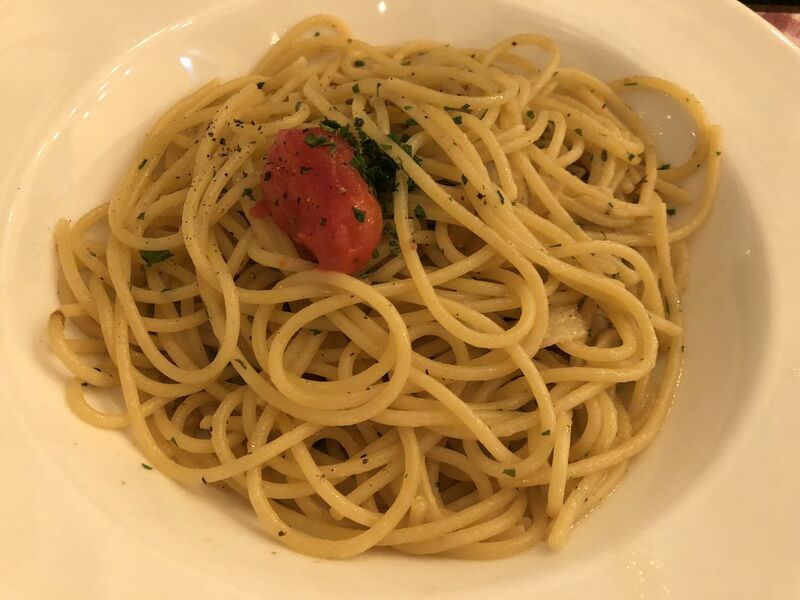 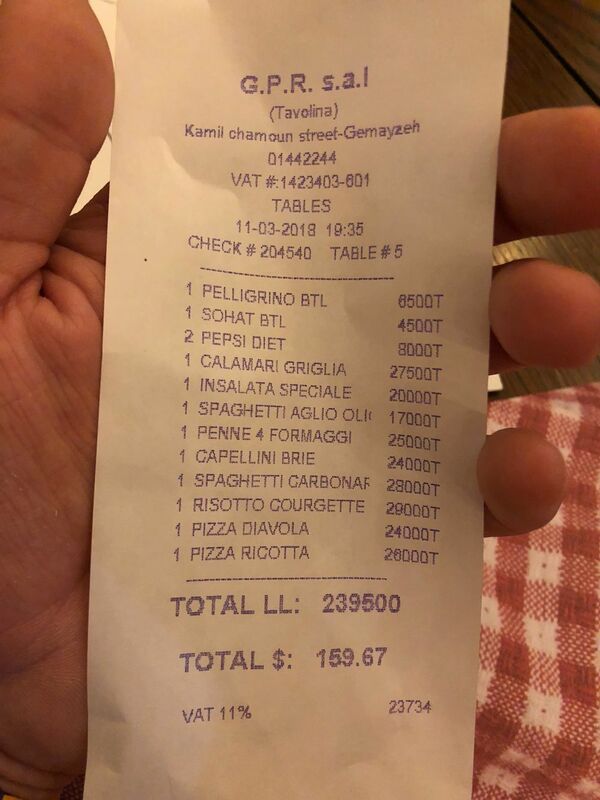 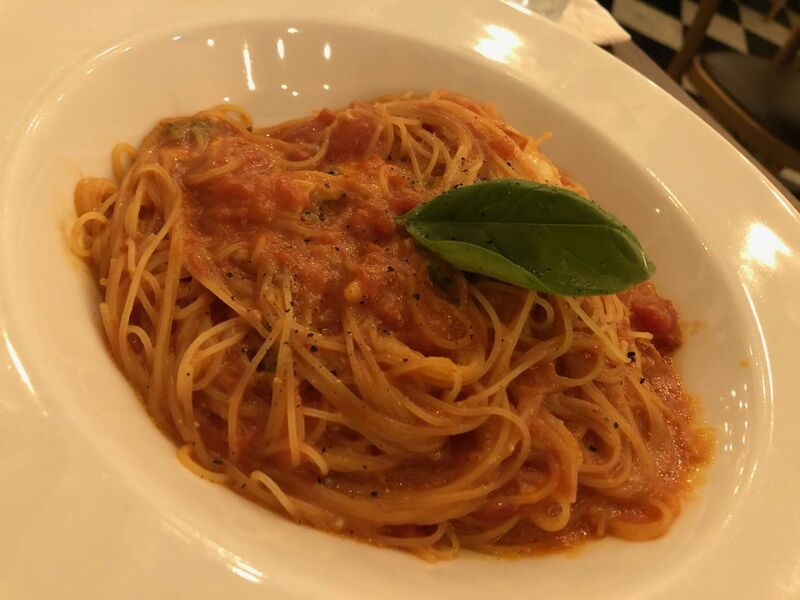 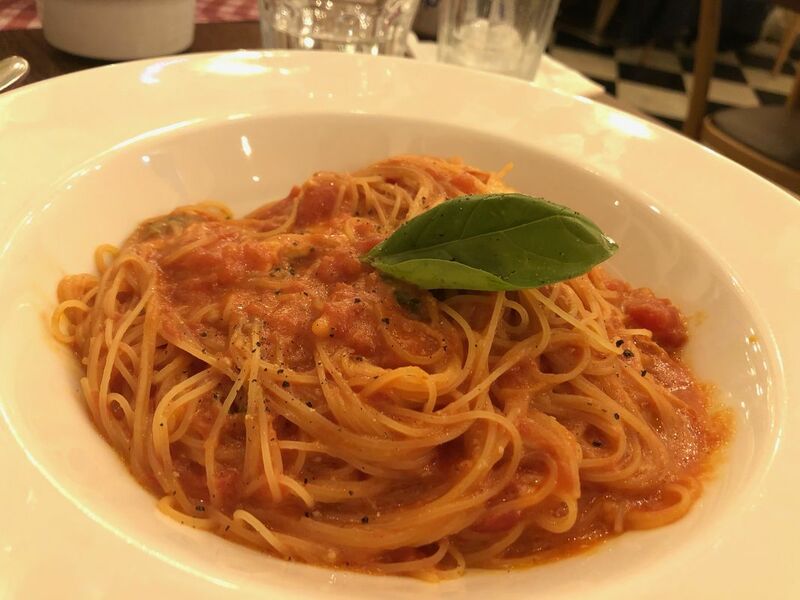 The spaghetti are fantastic and the pizza memorable. 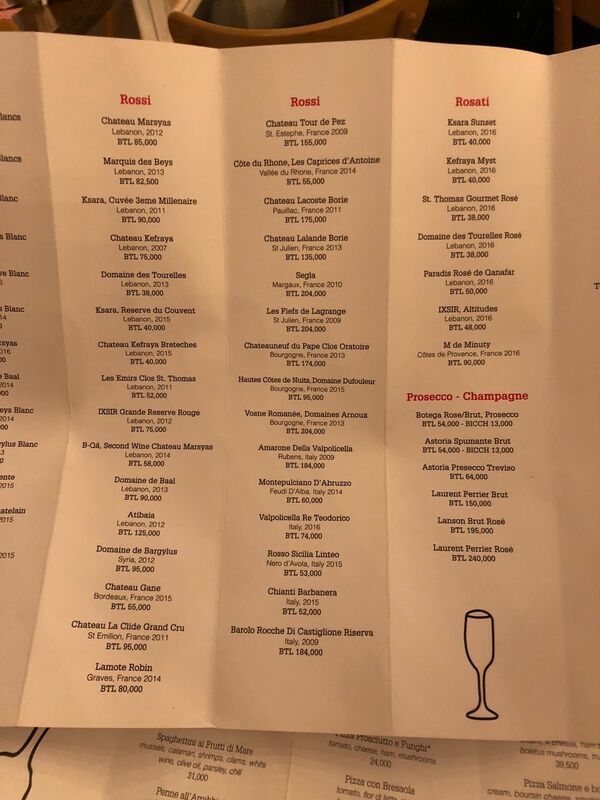 Service lacks finesse and is heavy. 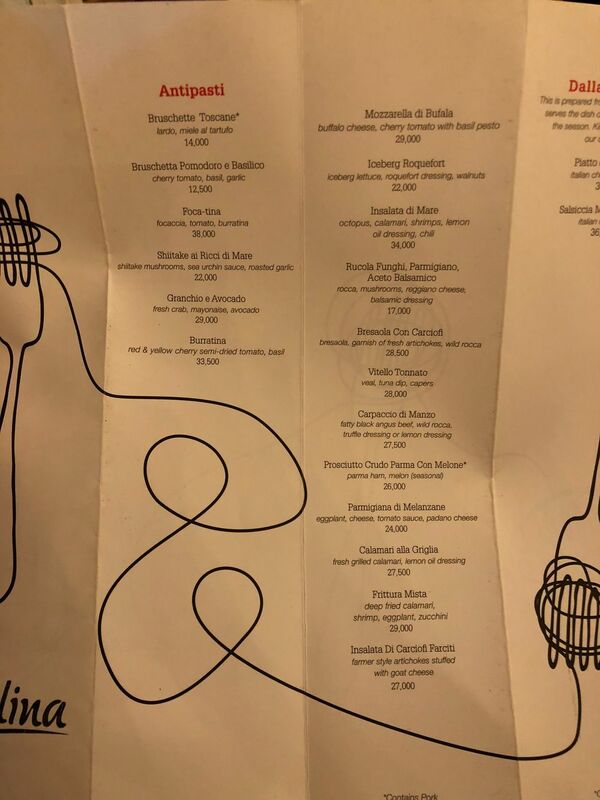 Noises, cutlery sounds, plates thrown on the tables. 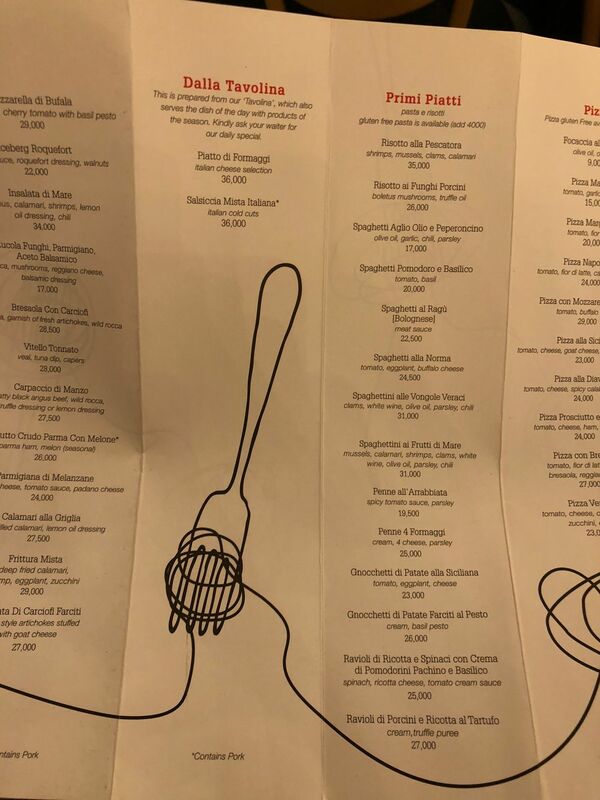 Knives and forks distributed for everyone without following the order if it’s spaghetti or something else. 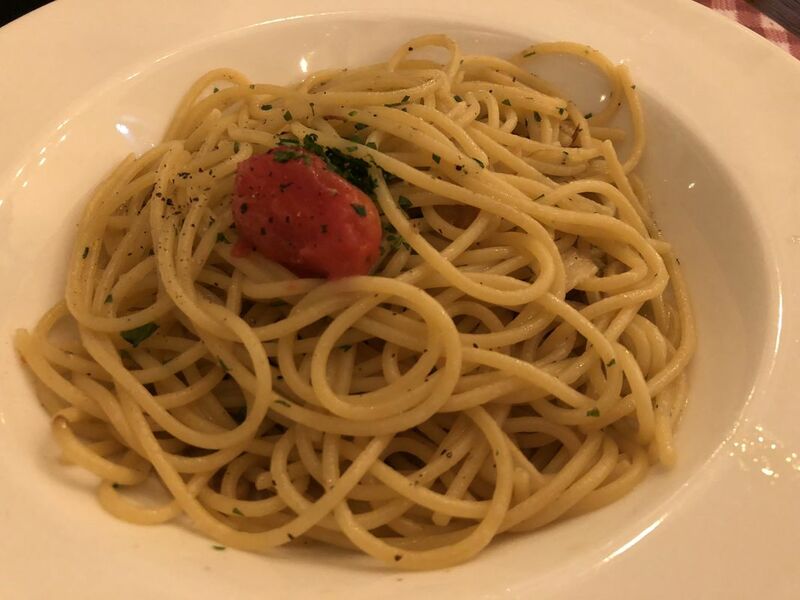 You can clearly hear the kitchen staff shouting and swearing. 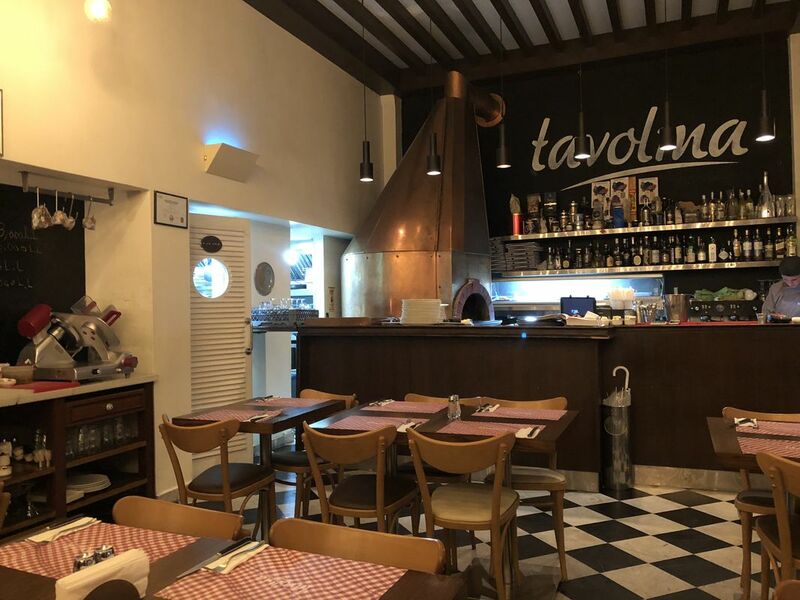 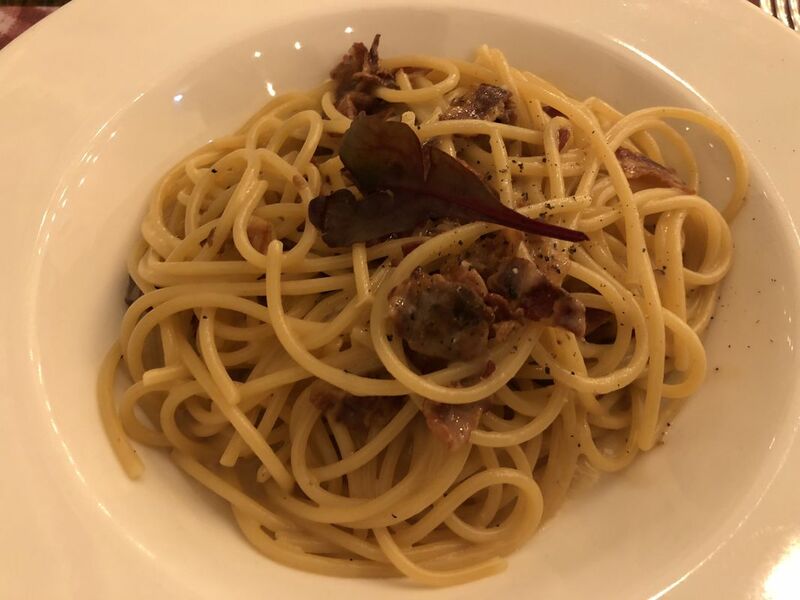 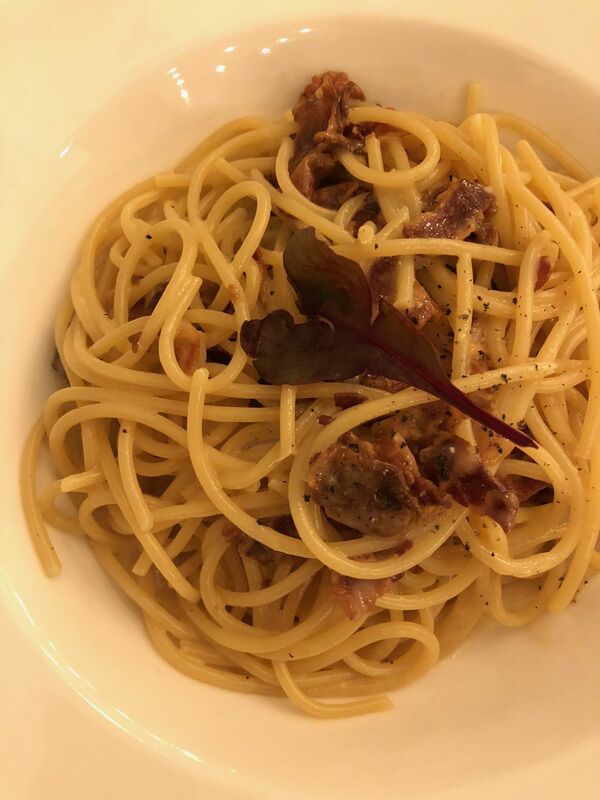 Tavolina, Beirut’s famous Italian restaurant is still on the Top10 list.